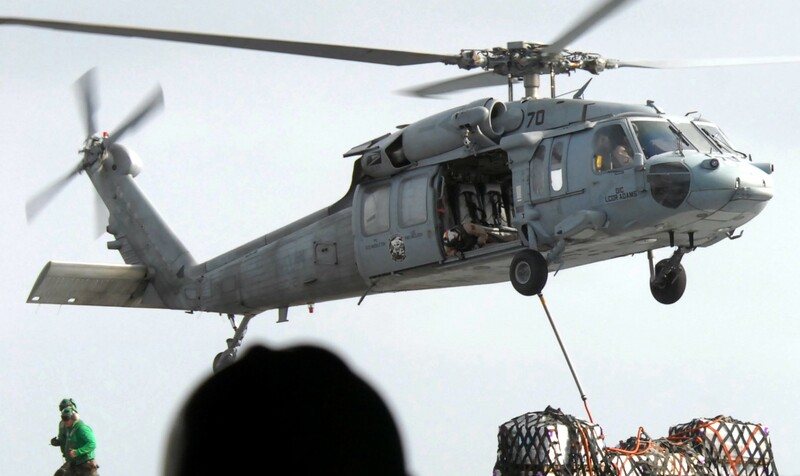 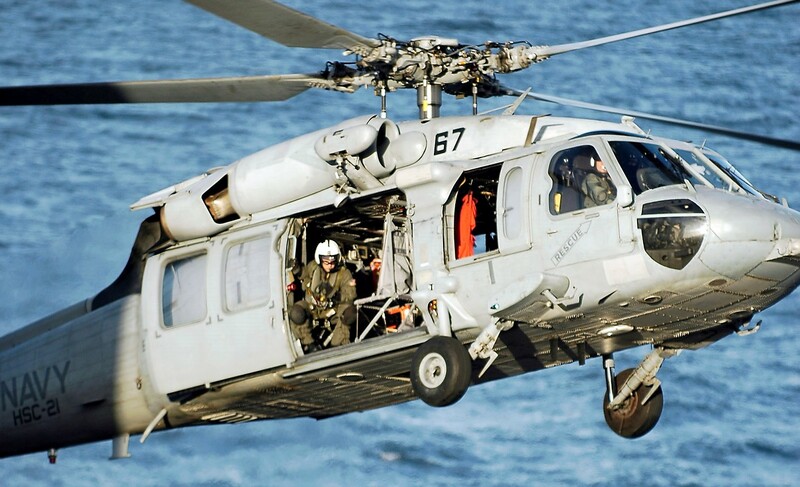 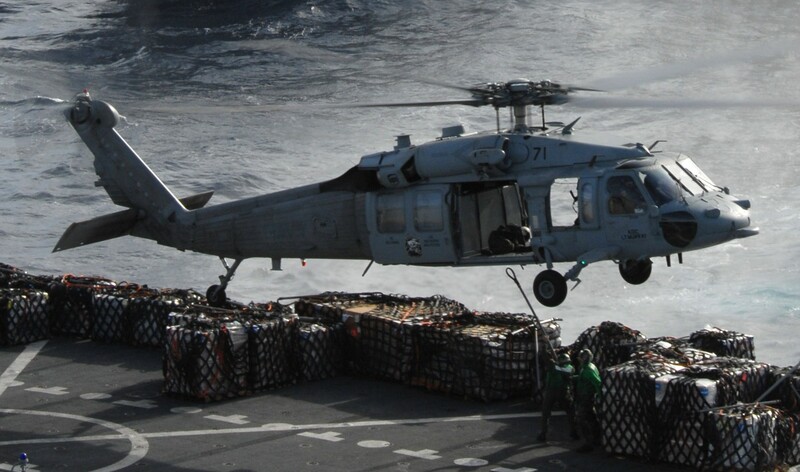 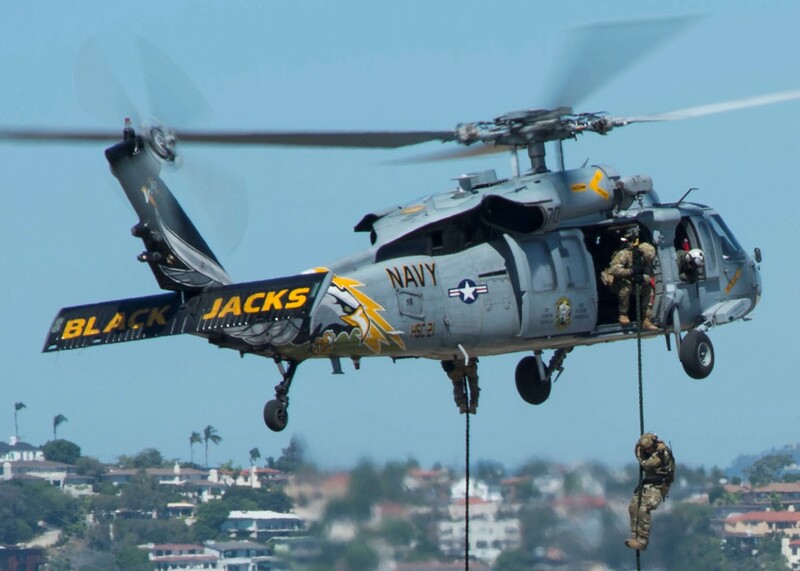 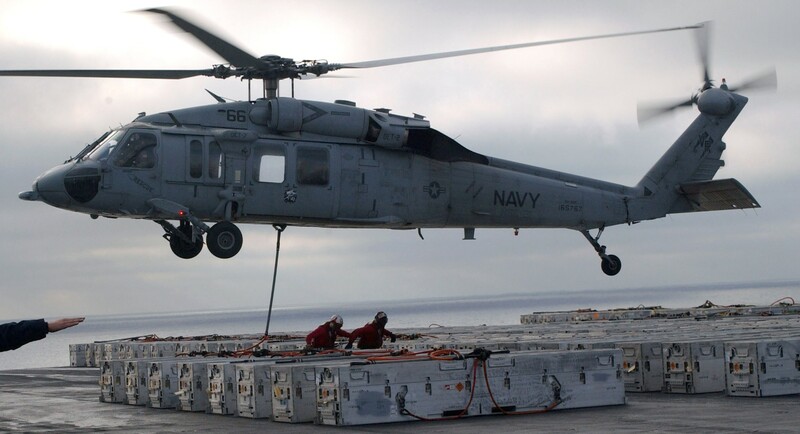 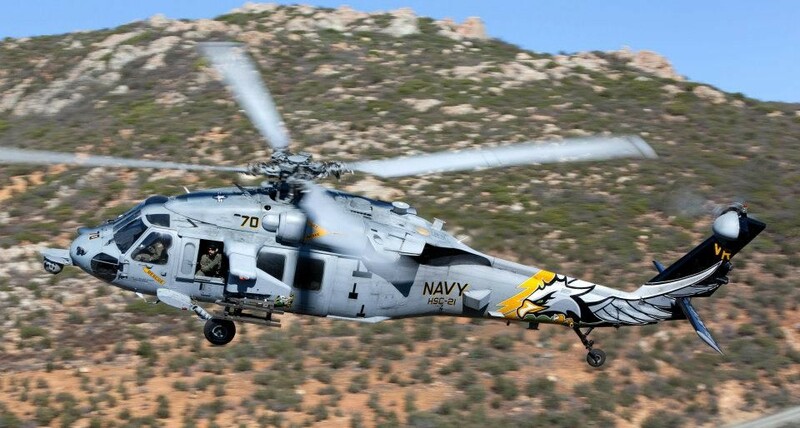 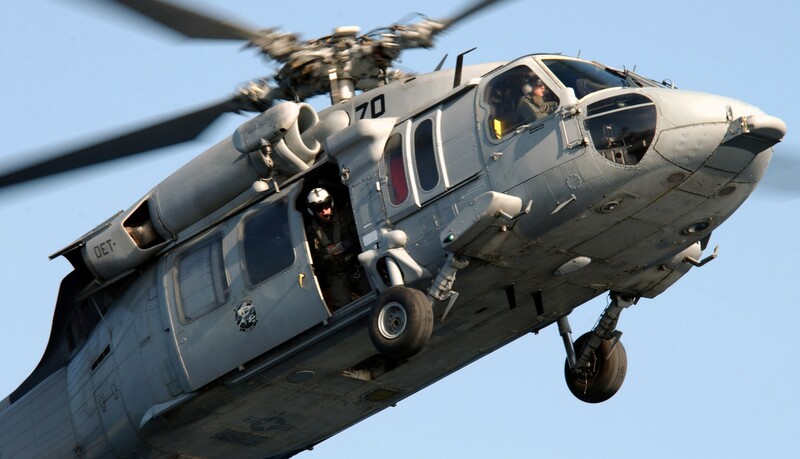 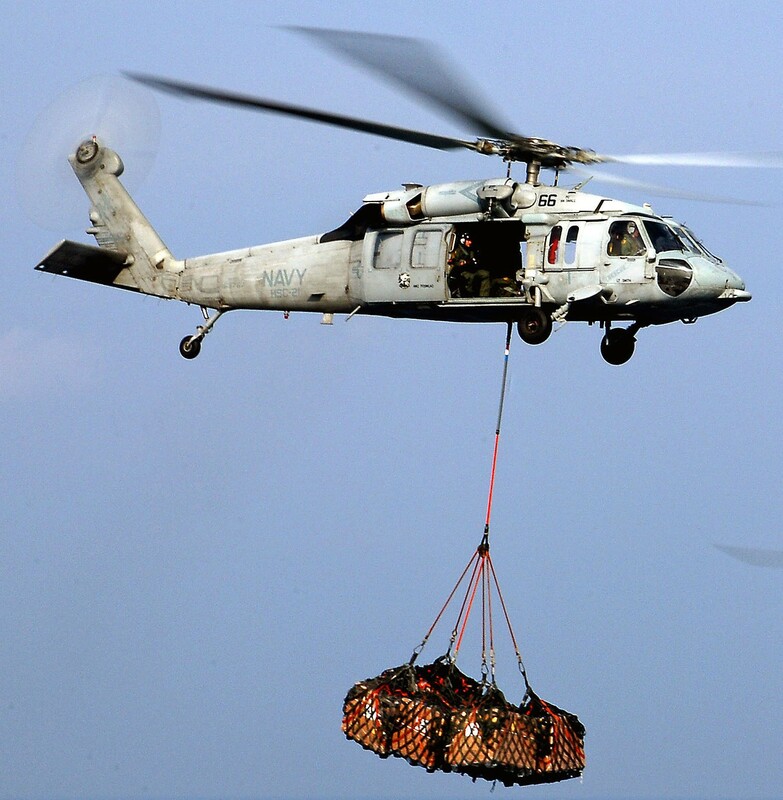 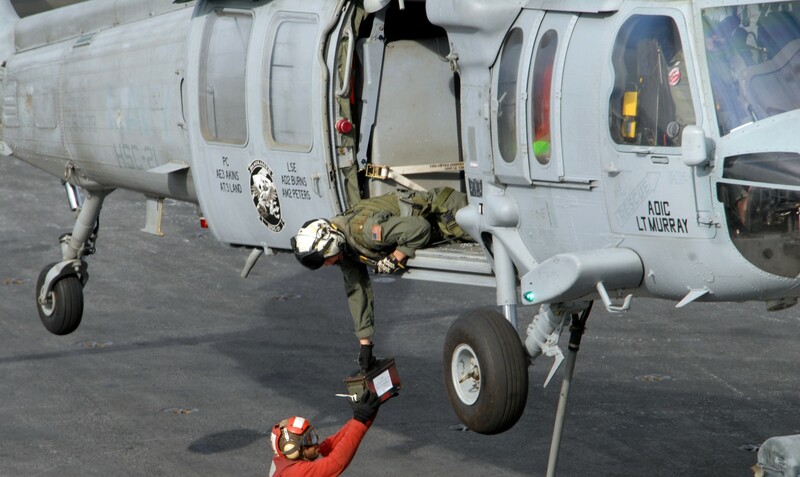 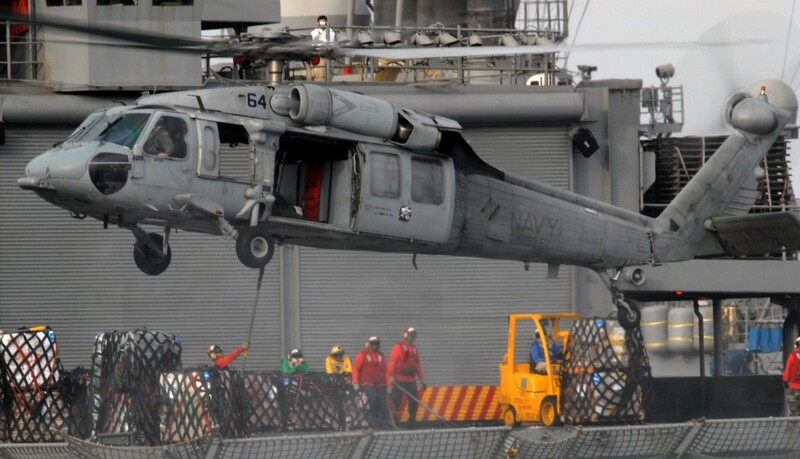 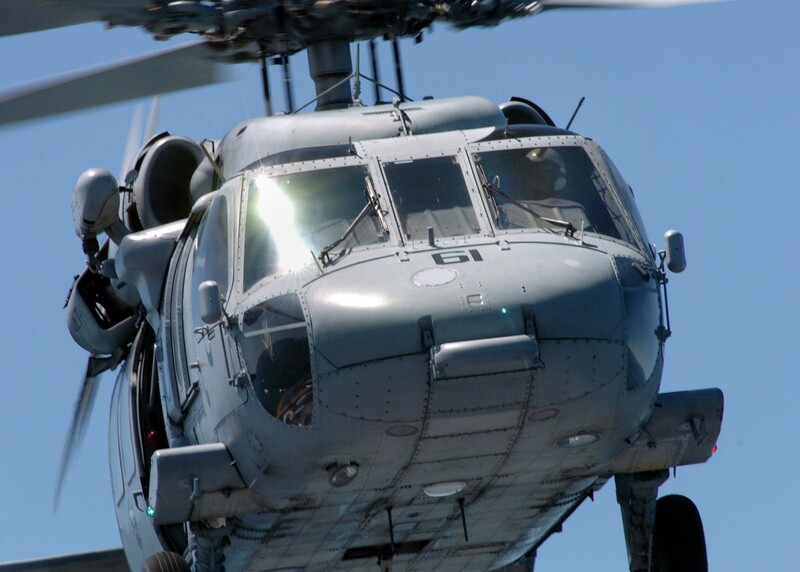 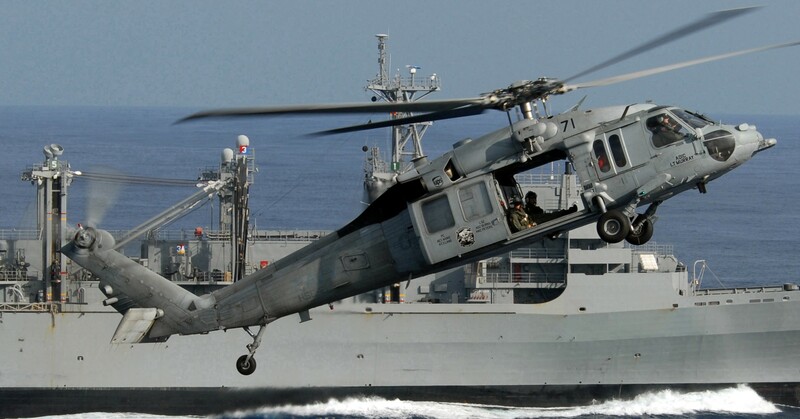 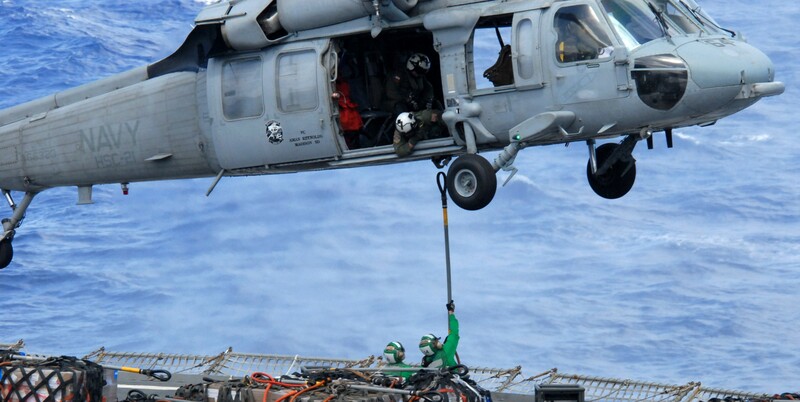 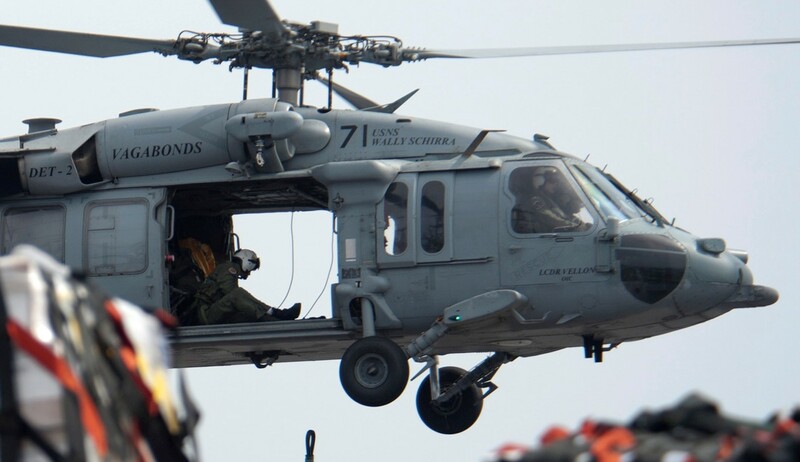 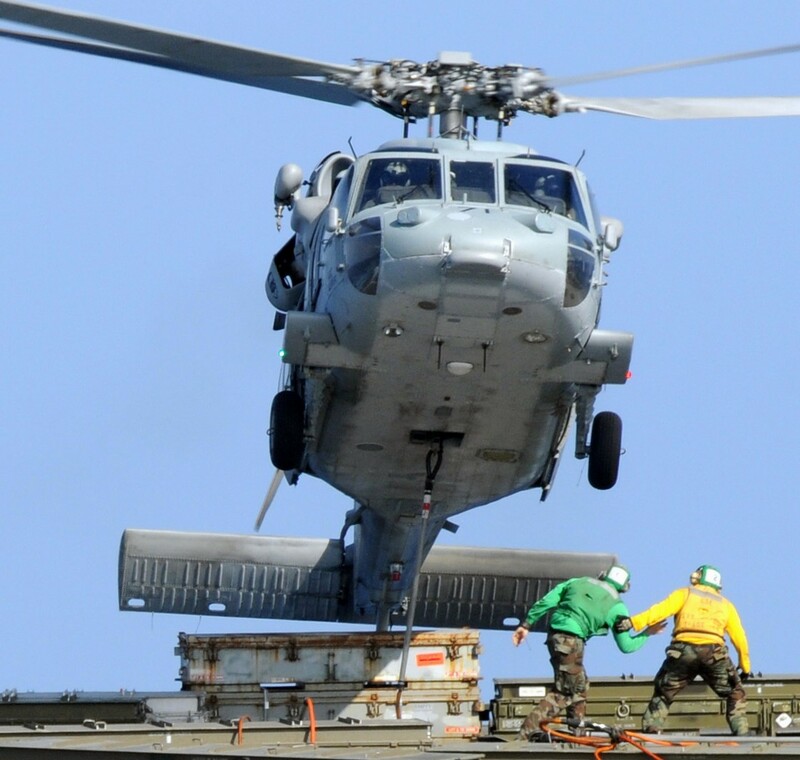 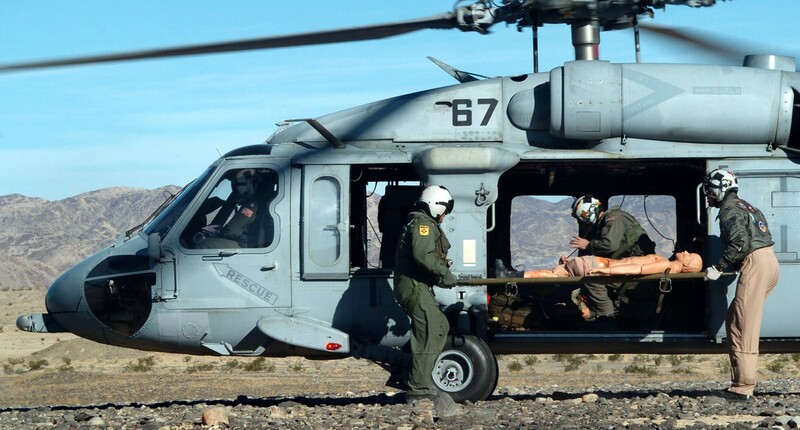 Helicopter Sea Combat Squadron TWO ONE, formerly the “Gunbearers” of HC-11, has been the cornerstone for west coast fleet logistics support since the original squadron was established on 01 October 1977 at Naval Air Station North Island, San Diego, California. 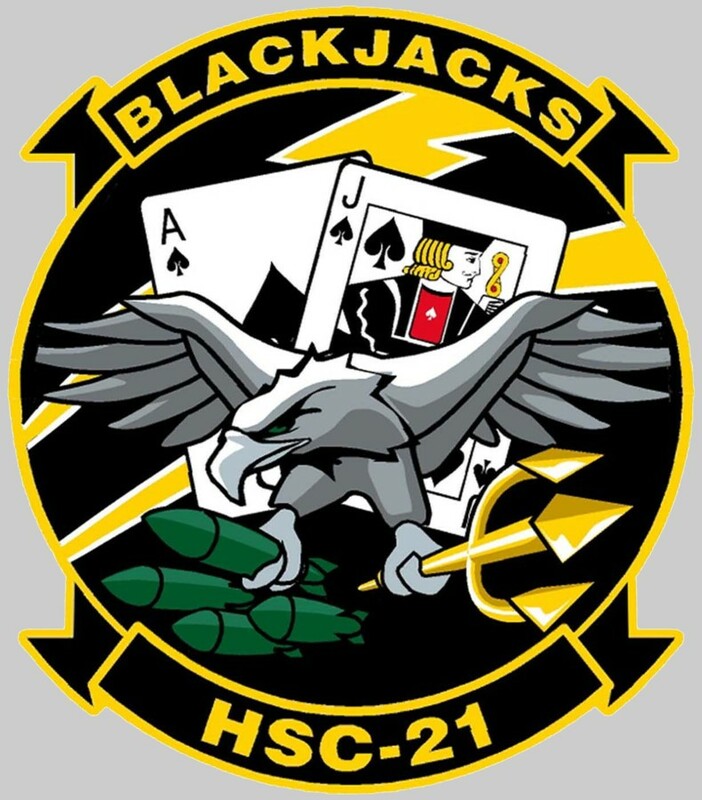 In April 2005, the “Gunbearers” of HC-11 were redesignated as the “Blackjacks” of HSC-21, continuing a tradition of excellence to support the Navy’s future helicopter fleet organization. 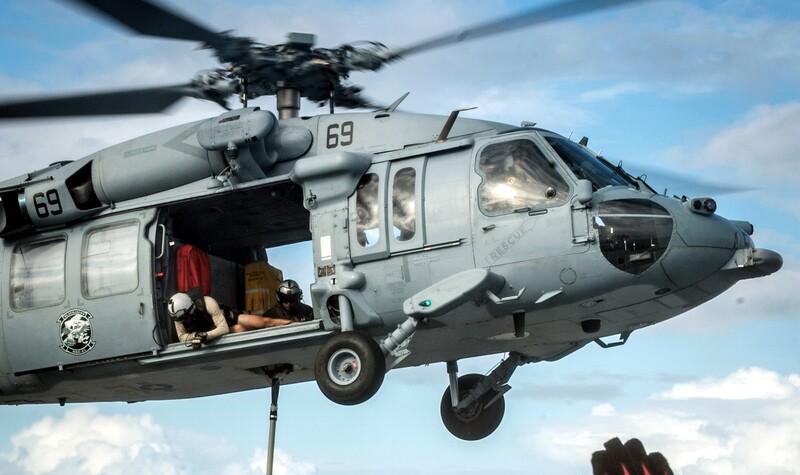 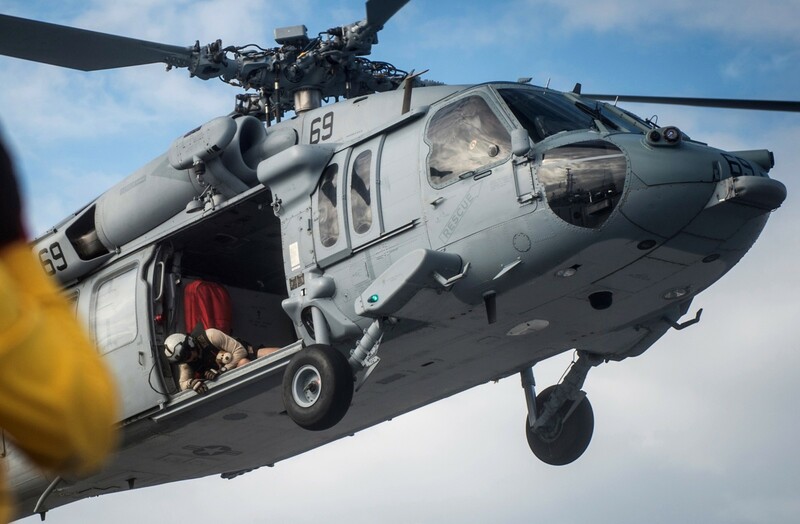 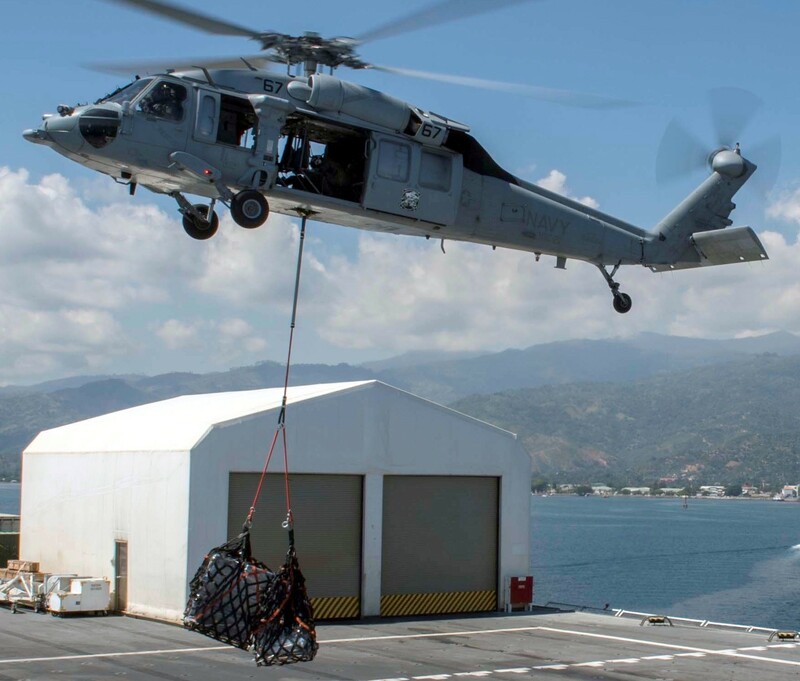 The primary missions of HSC-21 are Search and Rescue, Logistical Support, Naval Special Warfare and VERTREP (Vertical Replenishment) at sea to forward deployed battle groups in the Pacific and Indian Oceans and to fleet units in the west coast operating area. 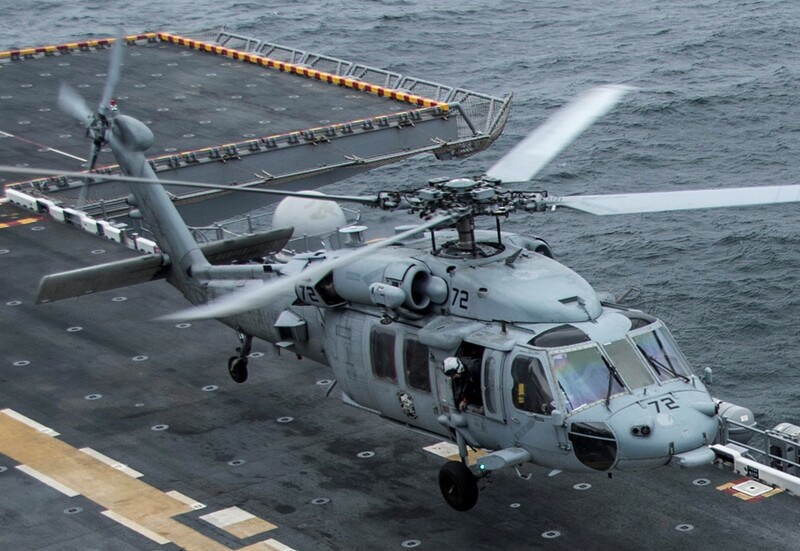 Ultimately, the squadron will perform specific missions such as Anti-Surface Ship Warfare, Organic Airborne Mine Countermeasures, and multiple maritime defense and force protection missions in support of Strike Warfare to Carrier and Expeditionary Strike Groups operating in the THIRD, FIFTH, and SEVENTH FLEETS. 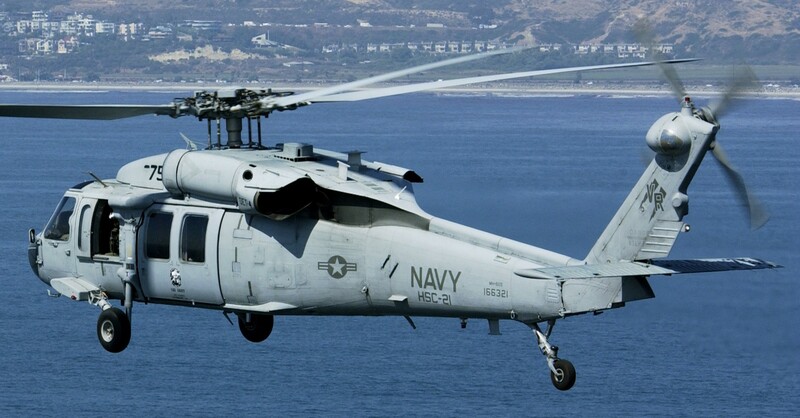 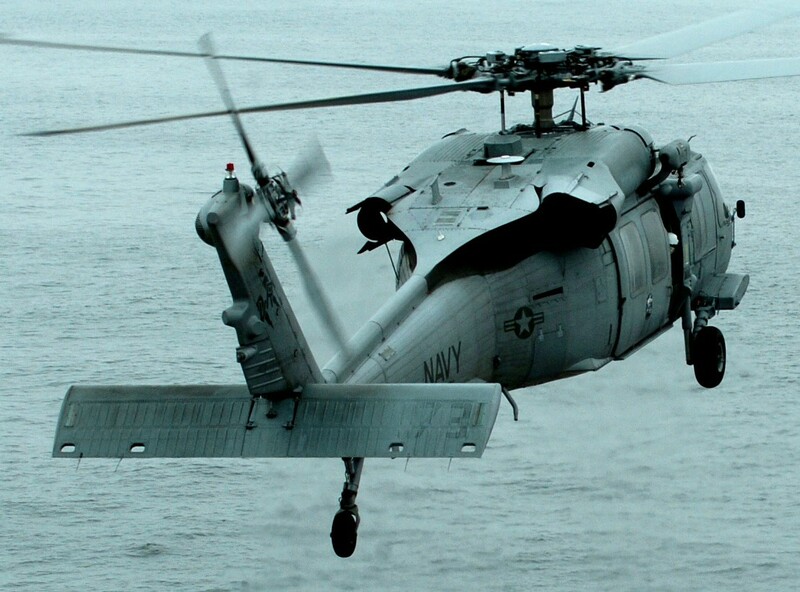 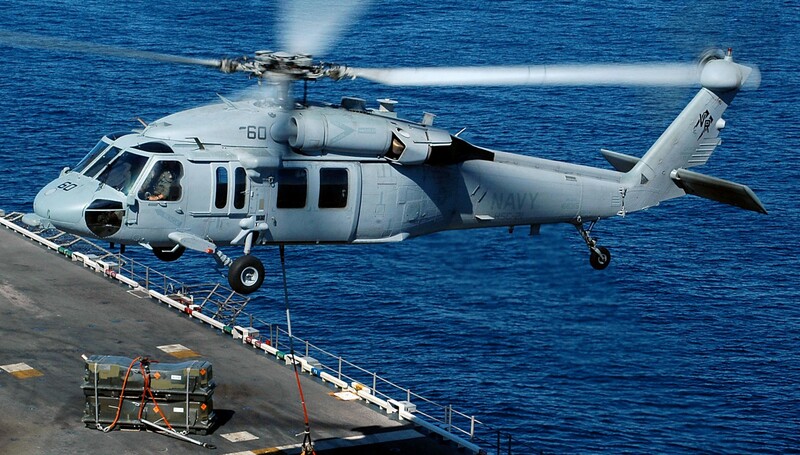 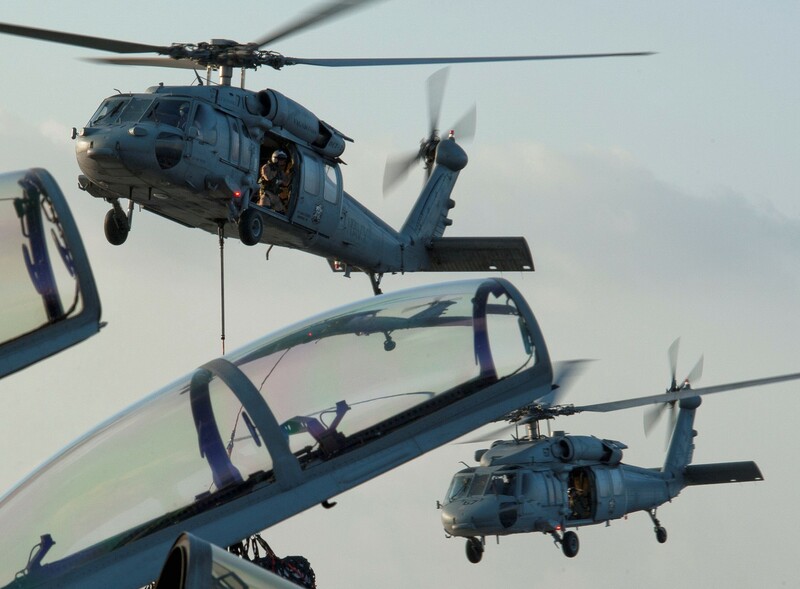 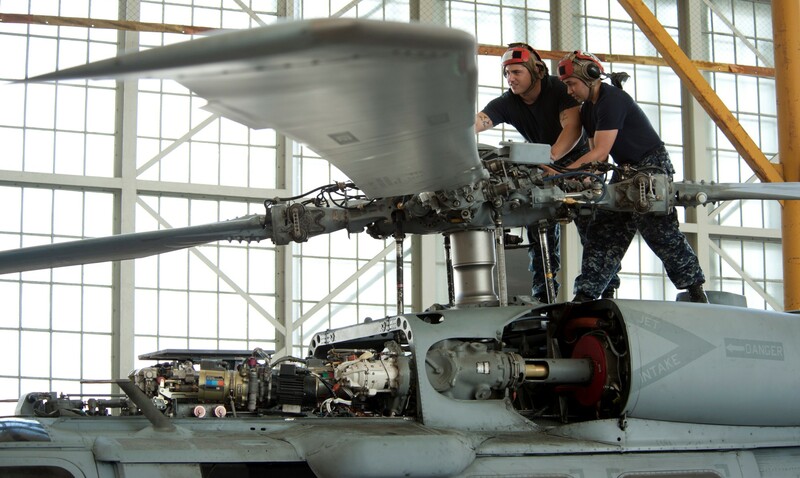 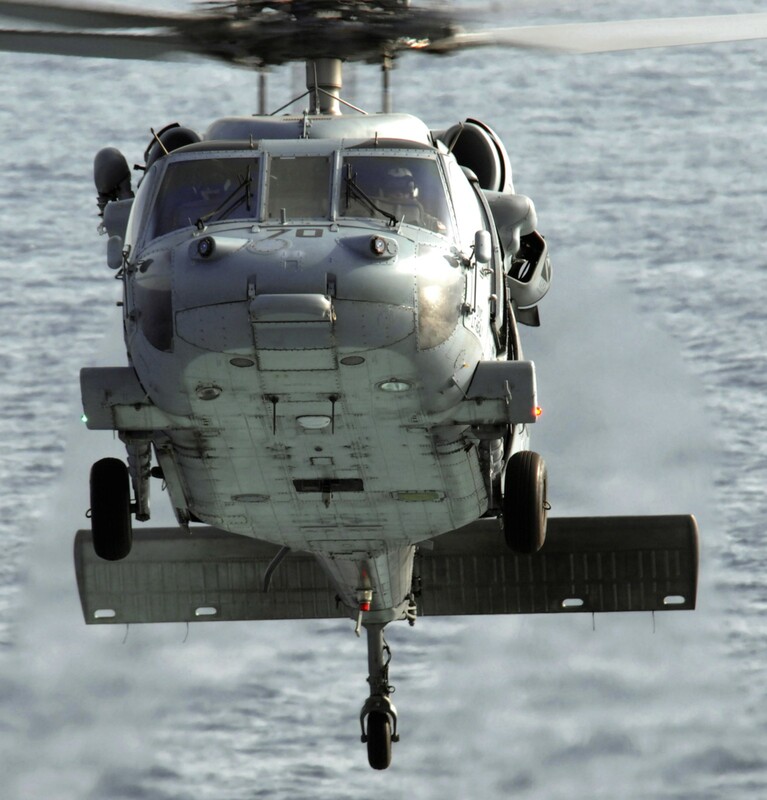 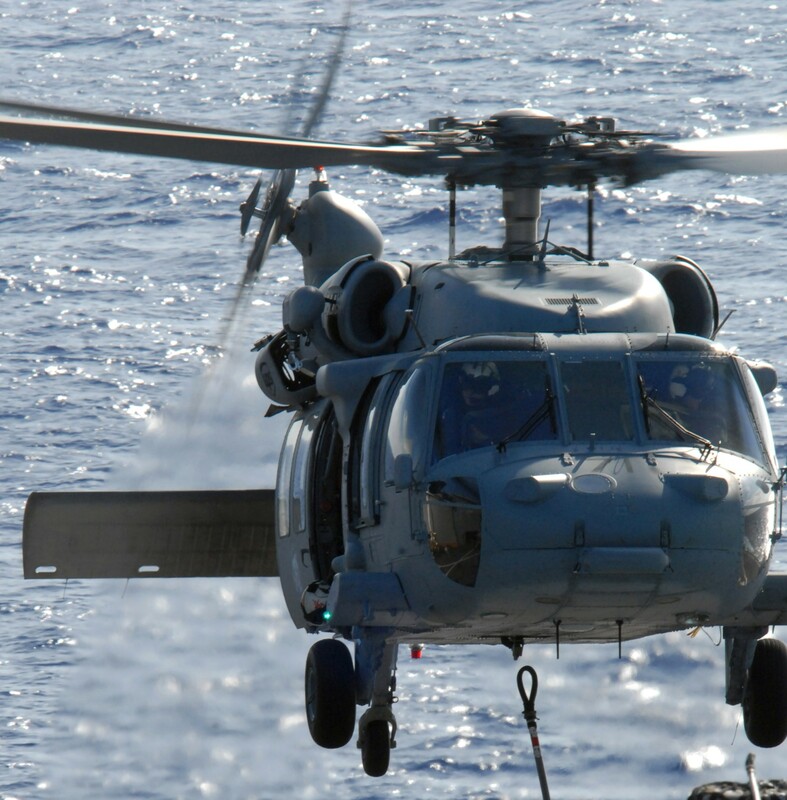 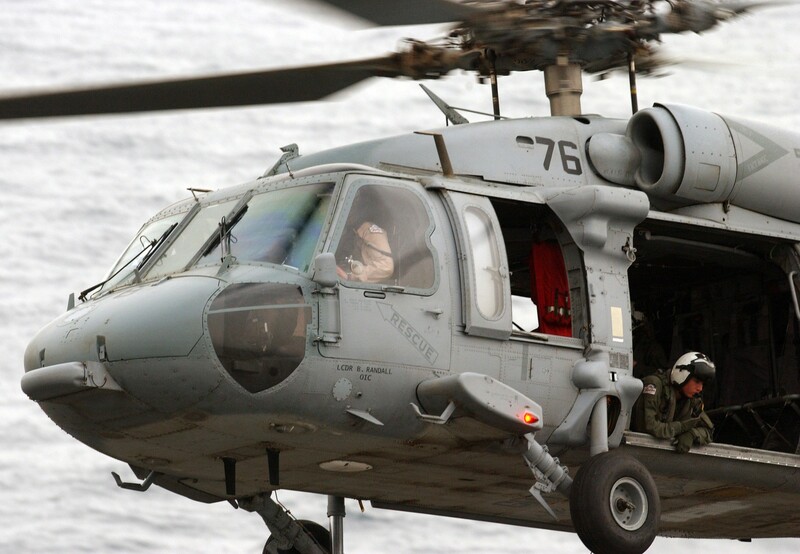 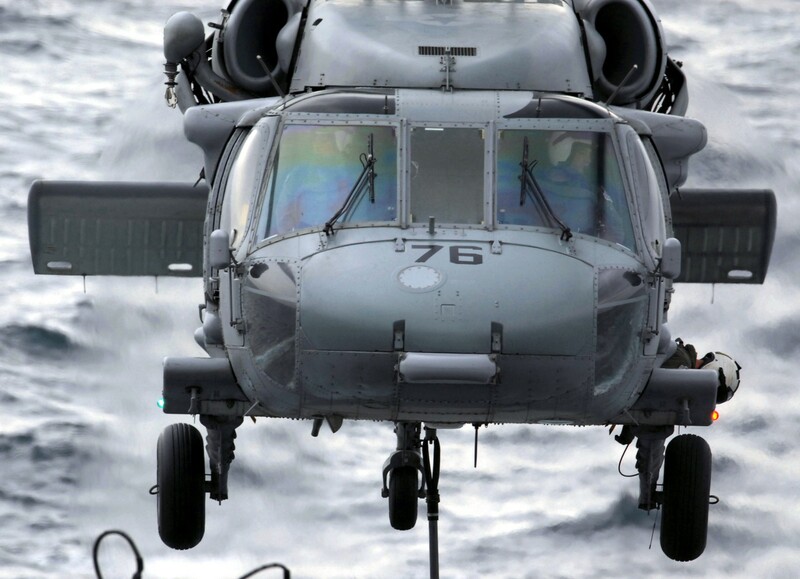 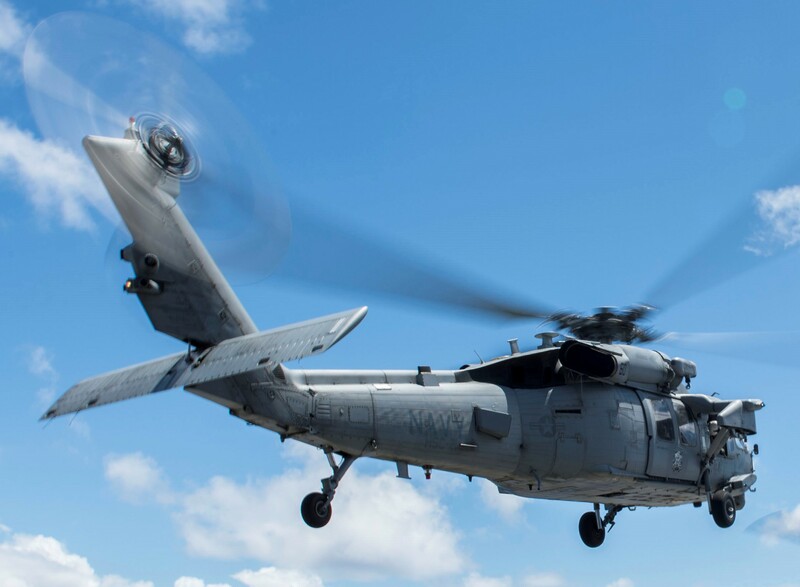 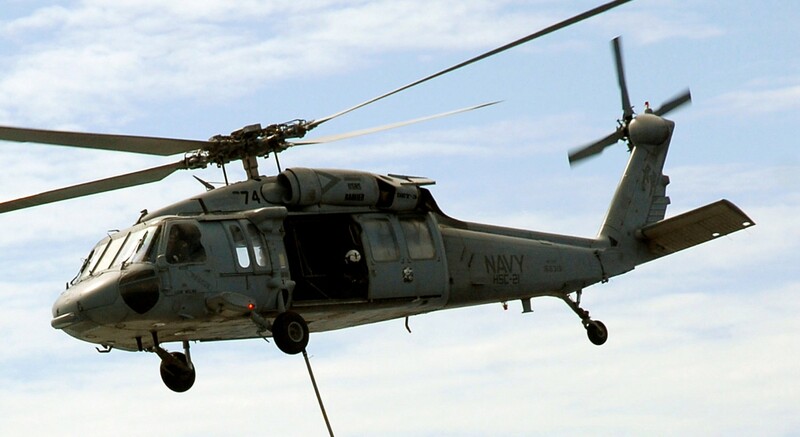 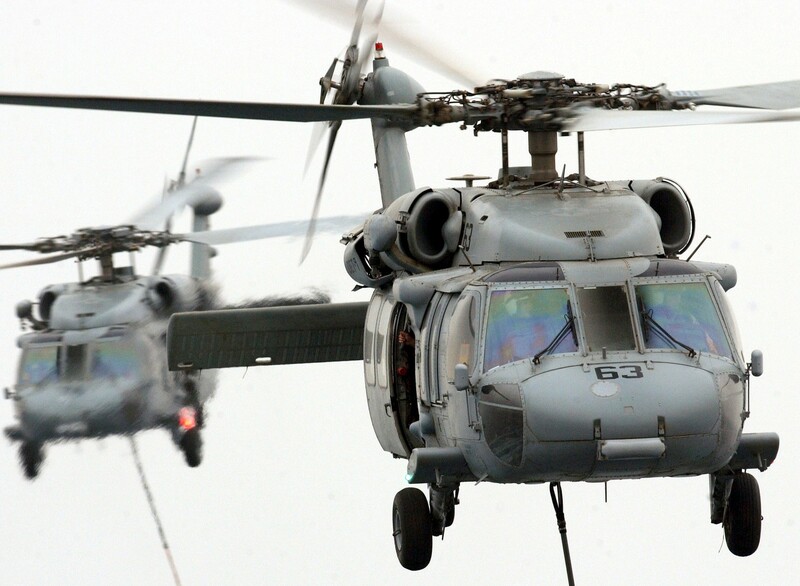 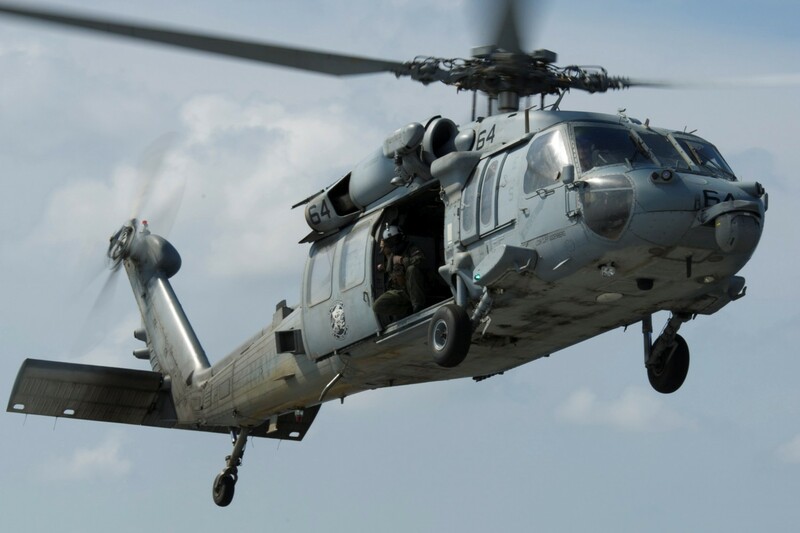 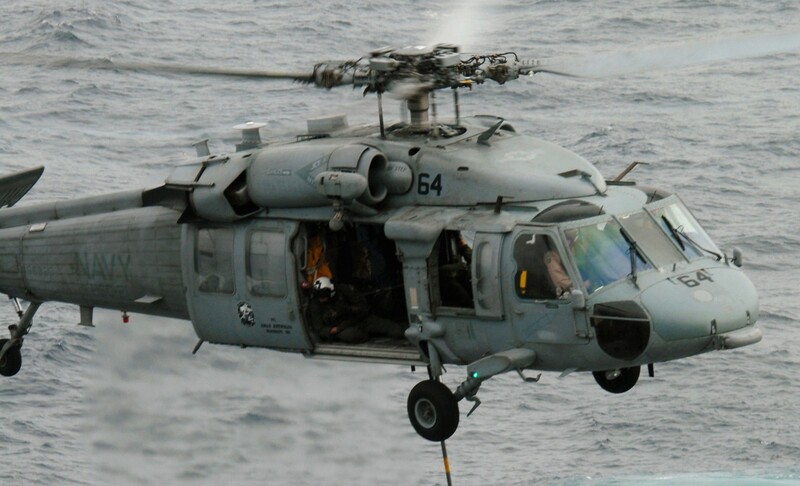 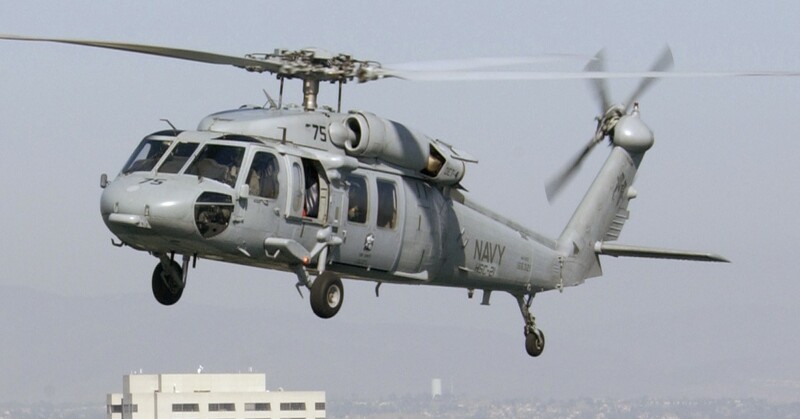 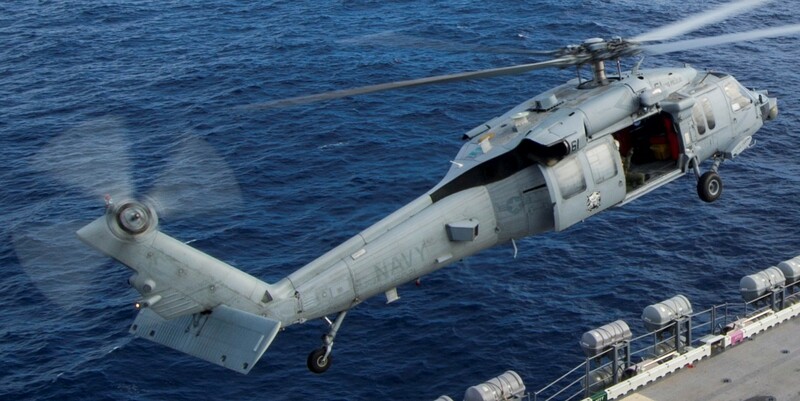 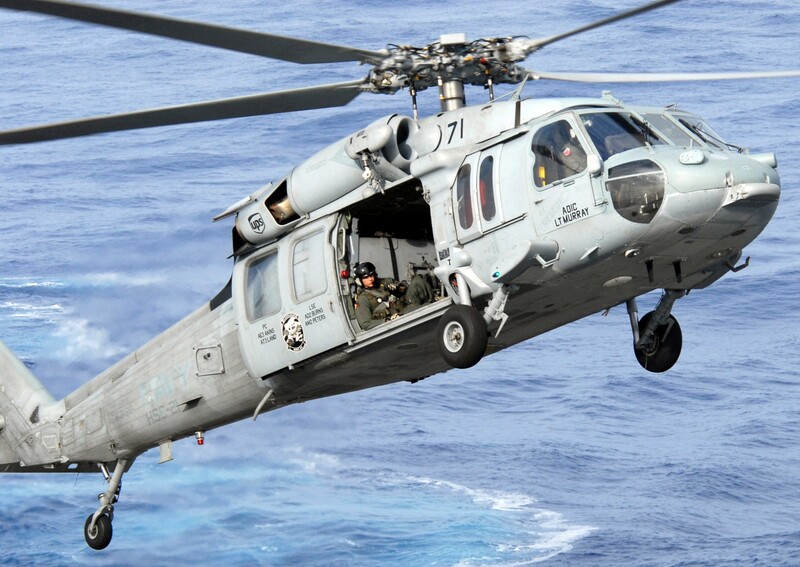 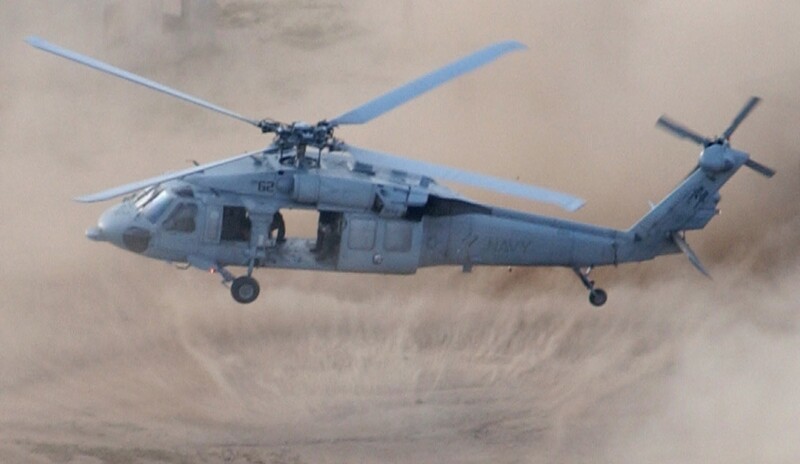 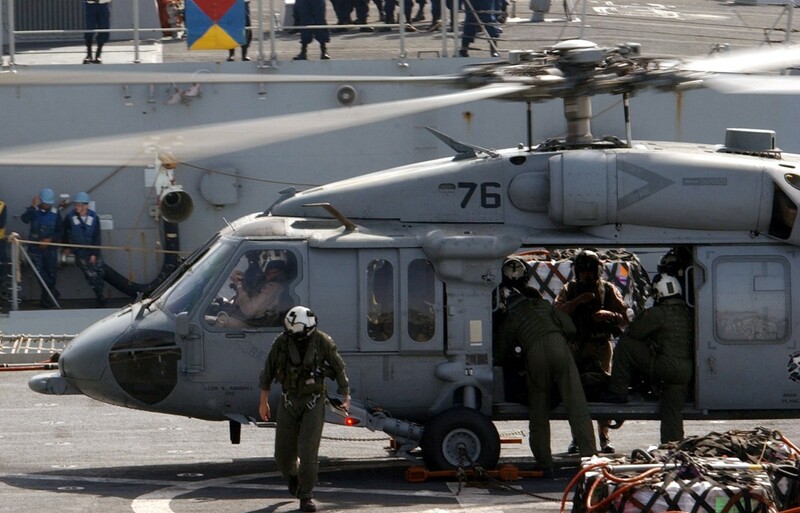 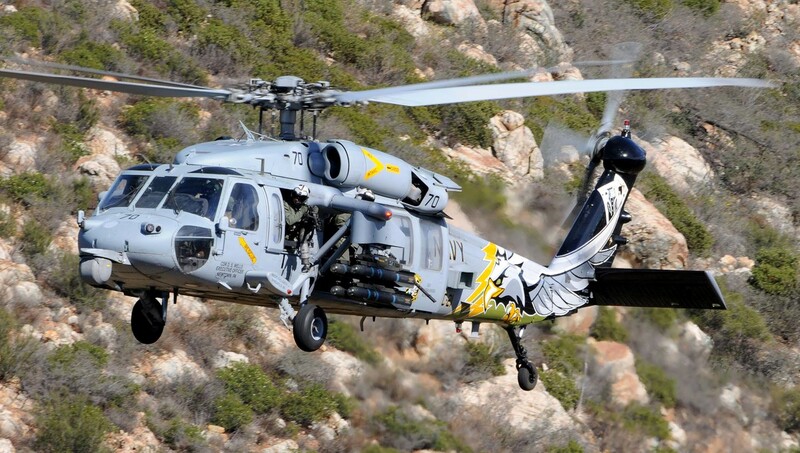 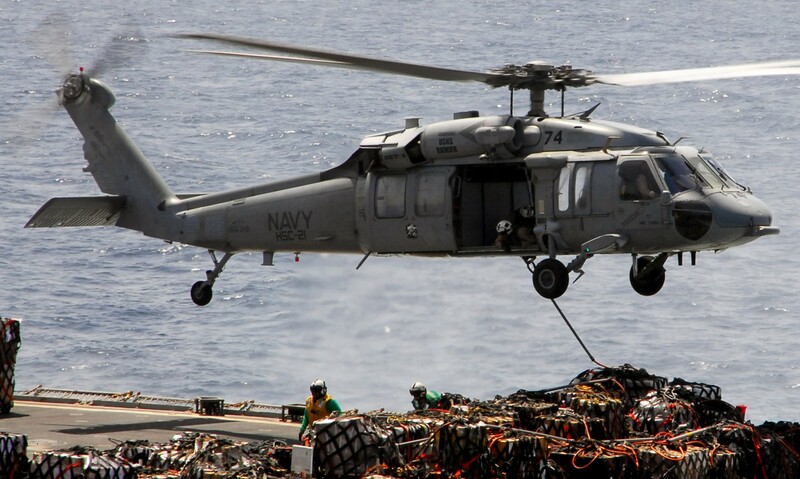 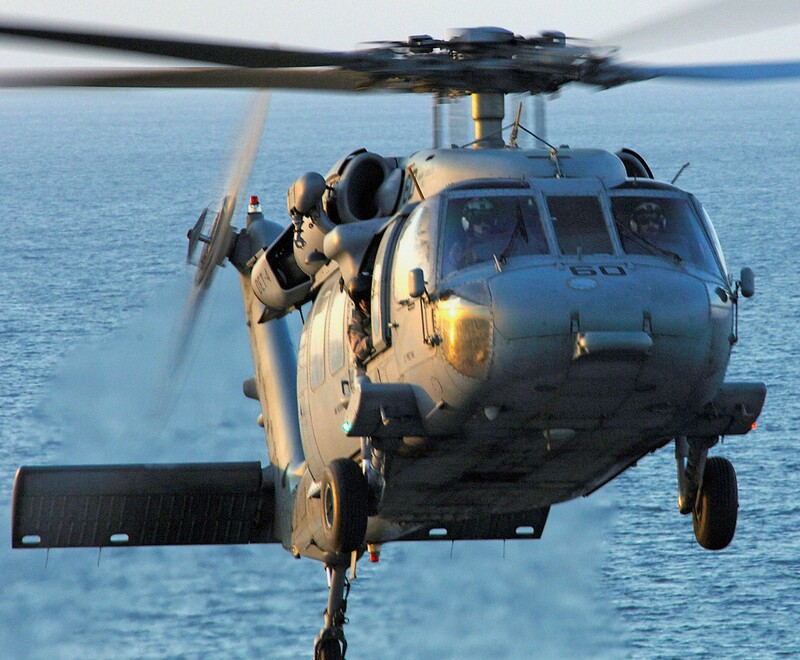 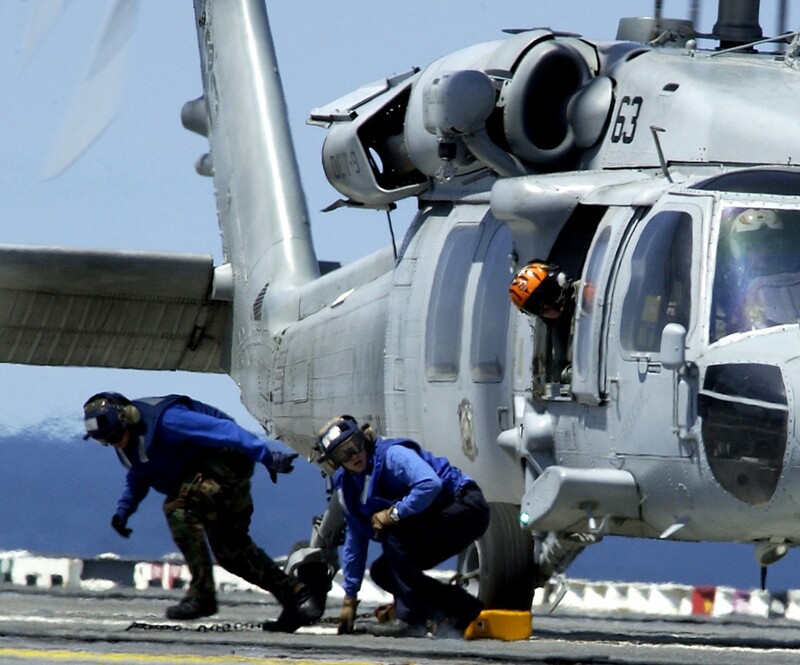 To meet these commitments, the squadron maintains 10 MH-60S helicopters. 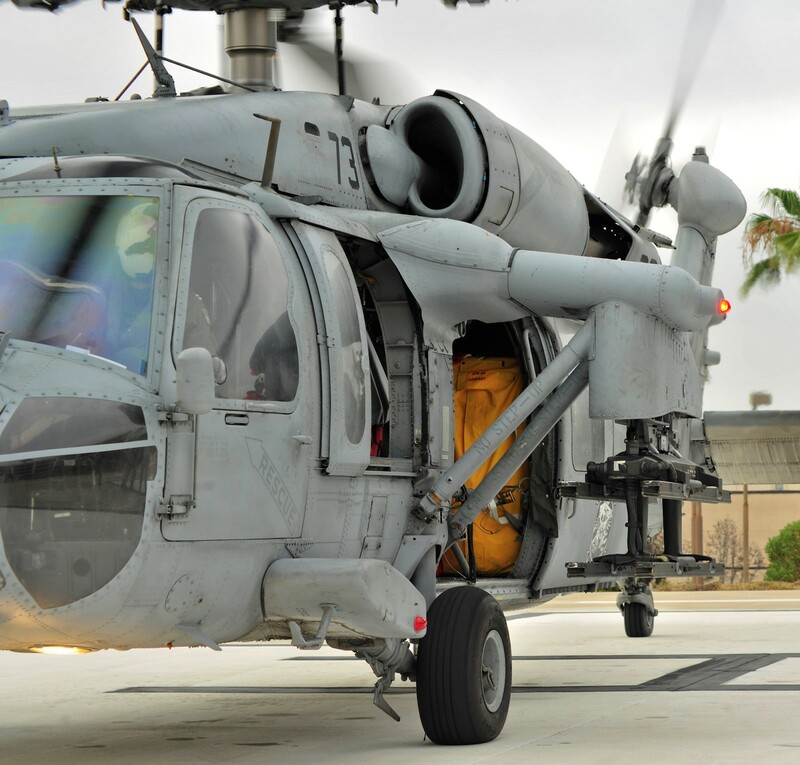 HSC-21 employs over 40 officers and approximately 250 enlisted personnel. 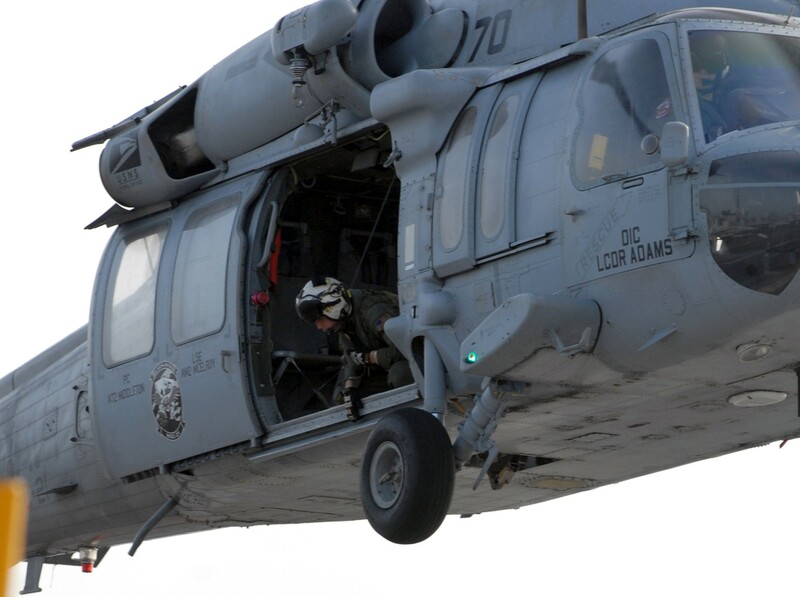 Unlike most squadrons, which deploy as a unit, HSC-21 is made up of five expeditionary detachments. 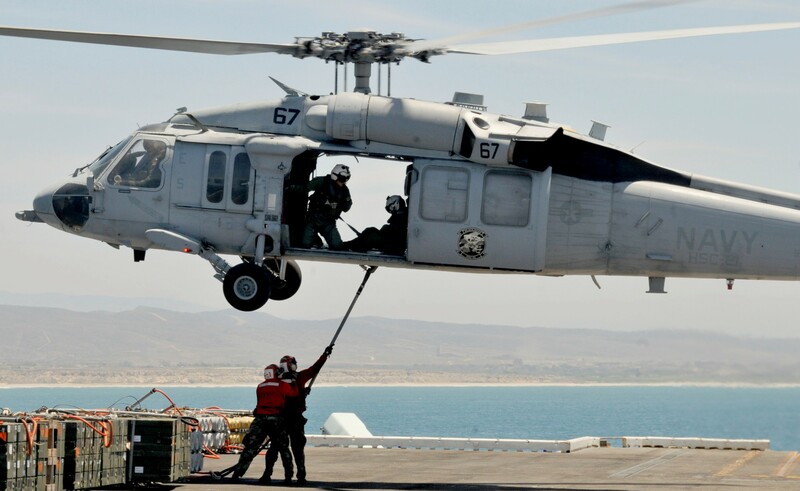 They deploy aboard Fast Combat Support ships (T-AOEs) and Amphibious Assault ships (LHAs and LHDs). 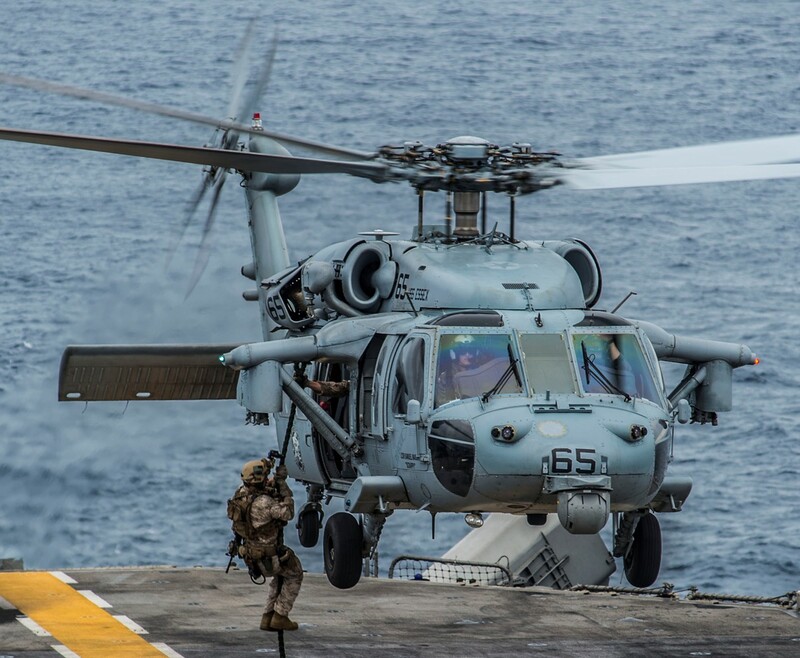 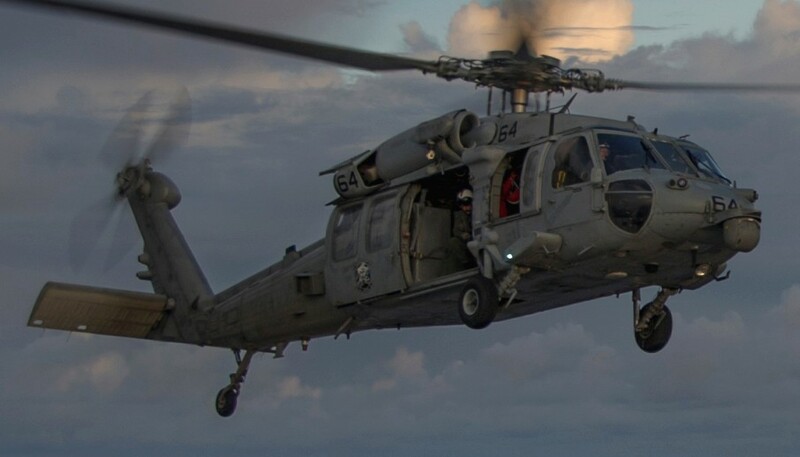 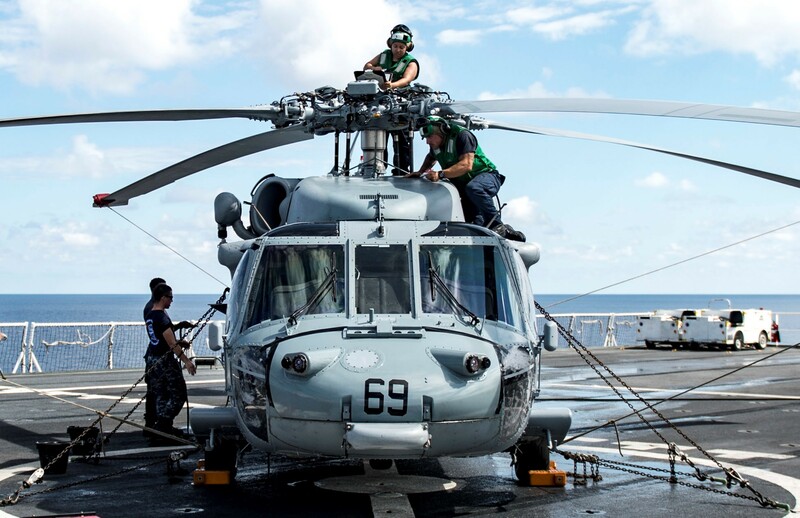 These detachments are generally comprised of two MH-60 helicopters, six pilots, one maintenance officer, six enlisted aircrew personnel, and 18 to 24 maintenance personnel. 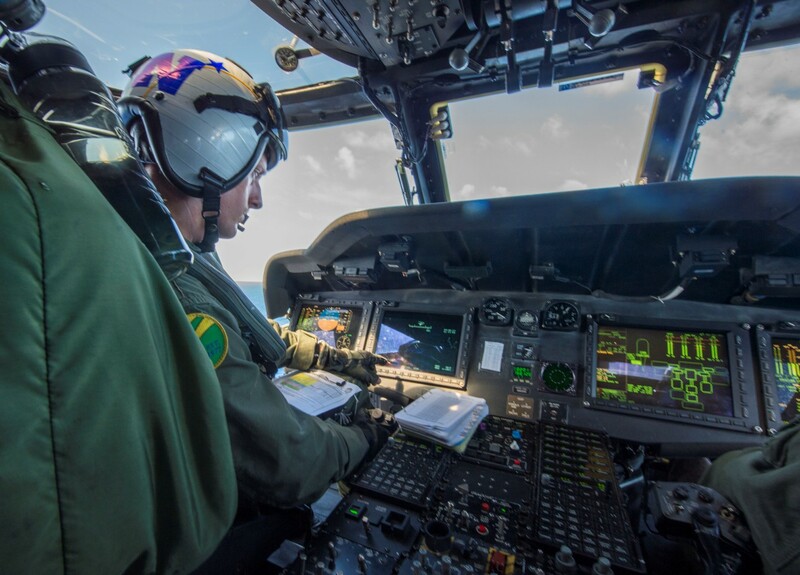 They constitute a cohesive team able to meet every challenge in the rapidly changing, high tempo dynamics of logistics and Search and Rescue (SAR) operations. 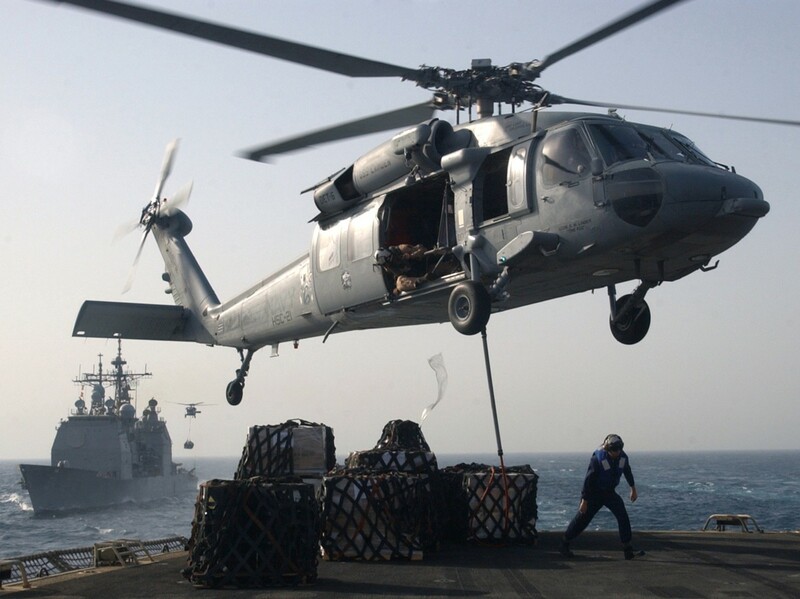 VERTREP operations involve the replenishment of ships at sea using helicopters. 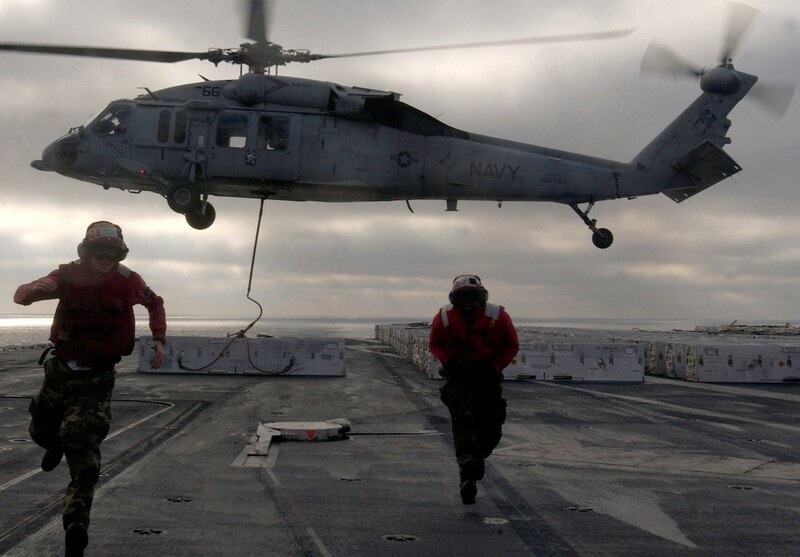 It calls for flexibility, skill, and a keen sense of situational awareness. 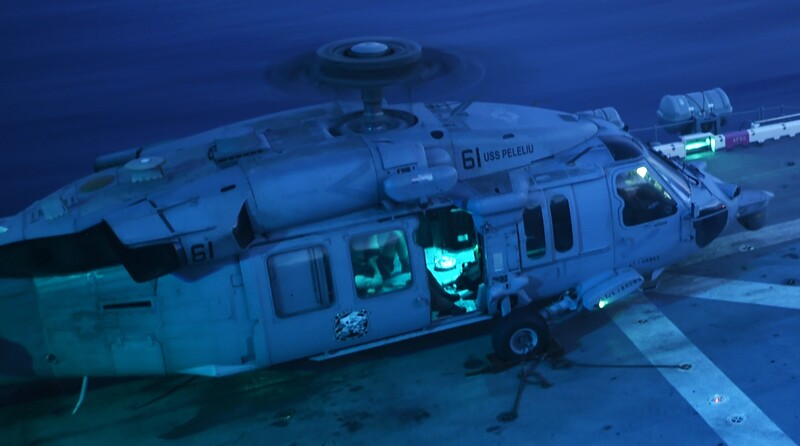 Due to the demands of the fleet, missions are carried out night or day, often in adverse weather conditions. 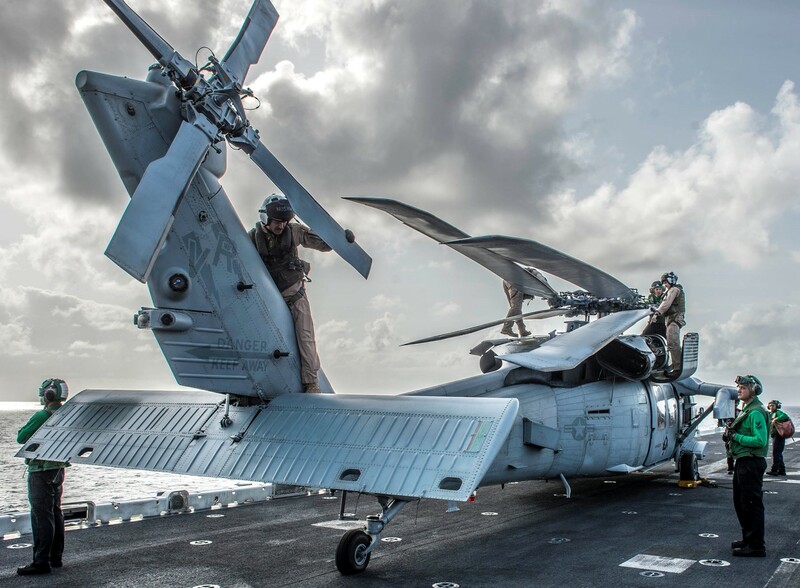 These operations have become a critical link in sustaining strike group mission readiness. 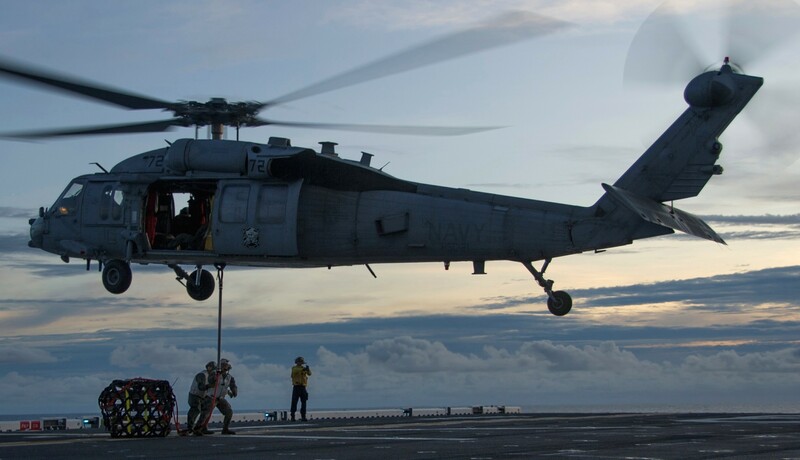 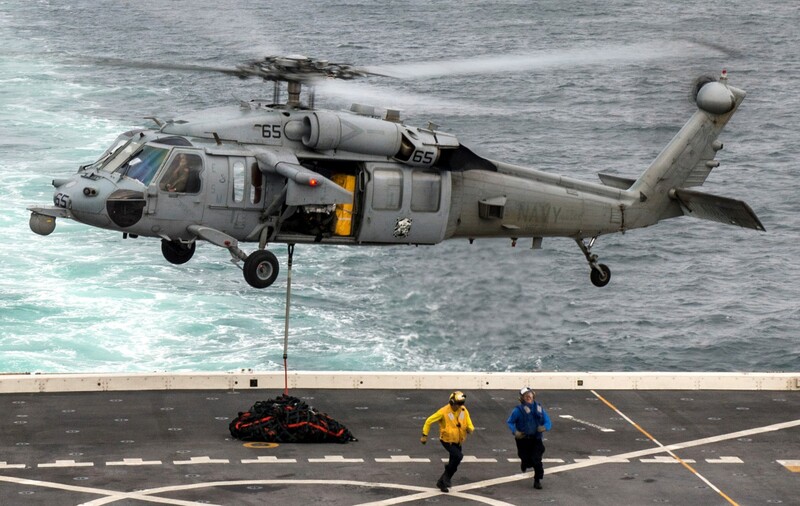 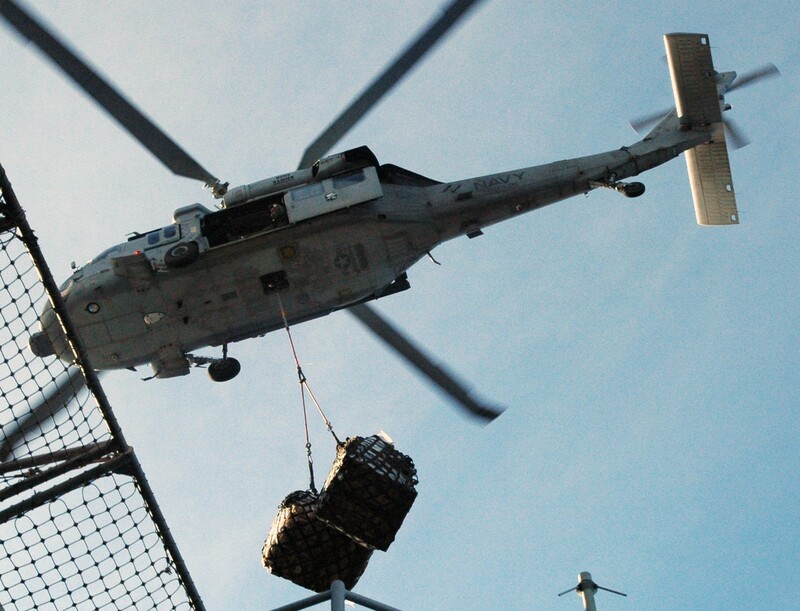 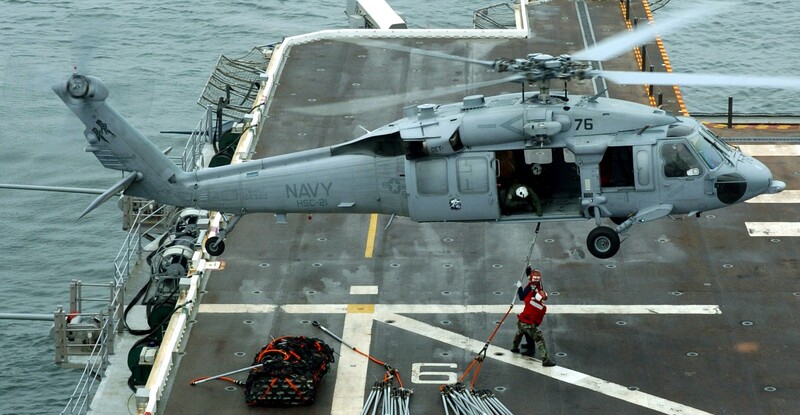 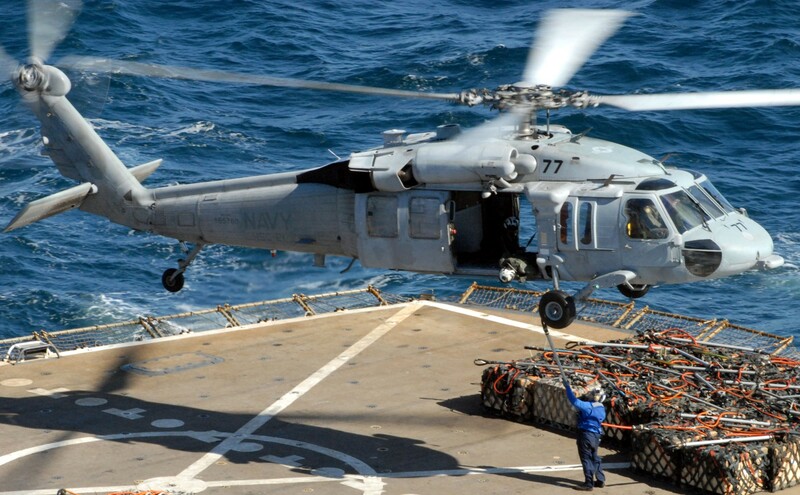 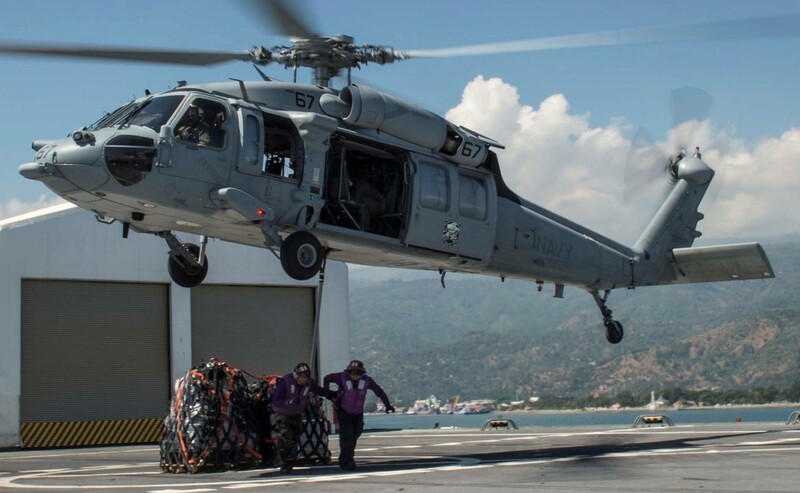 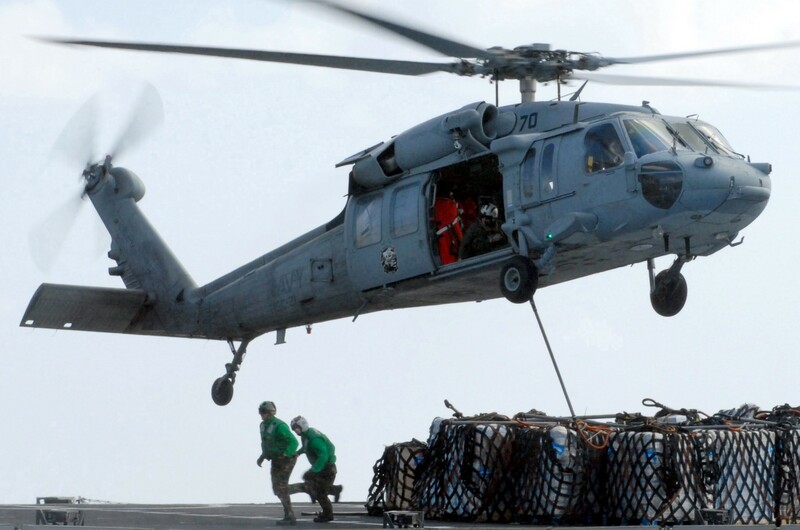 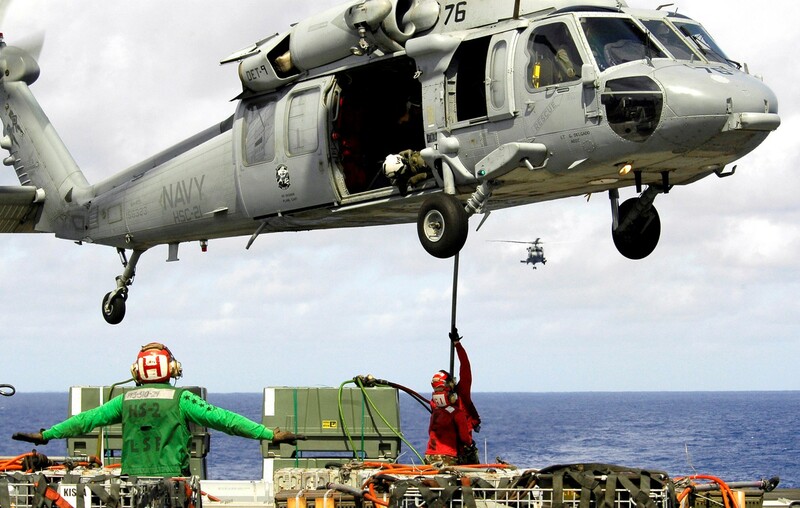 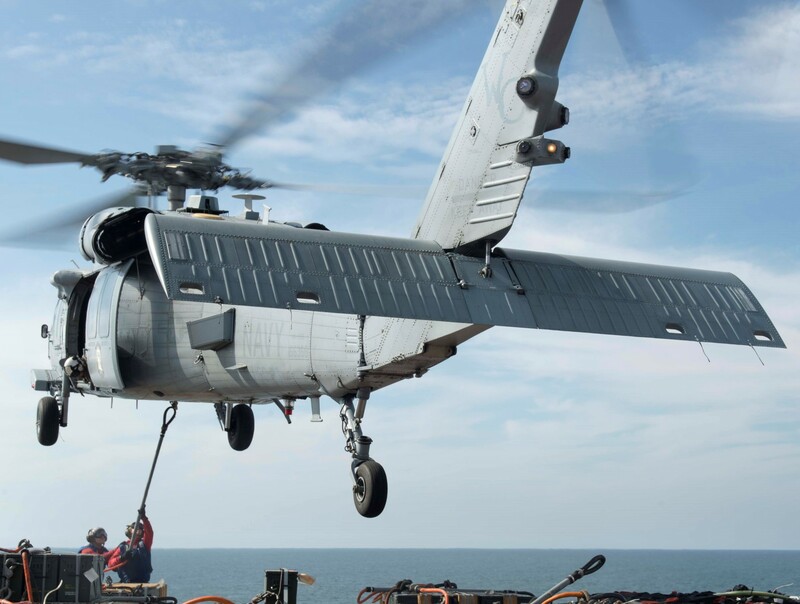 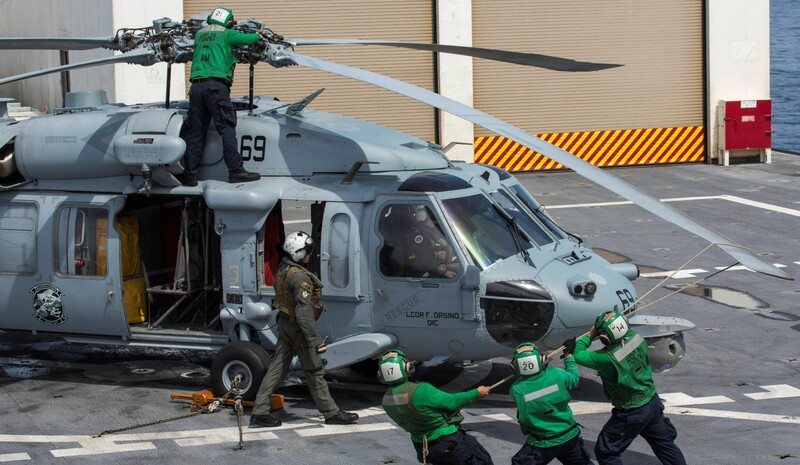 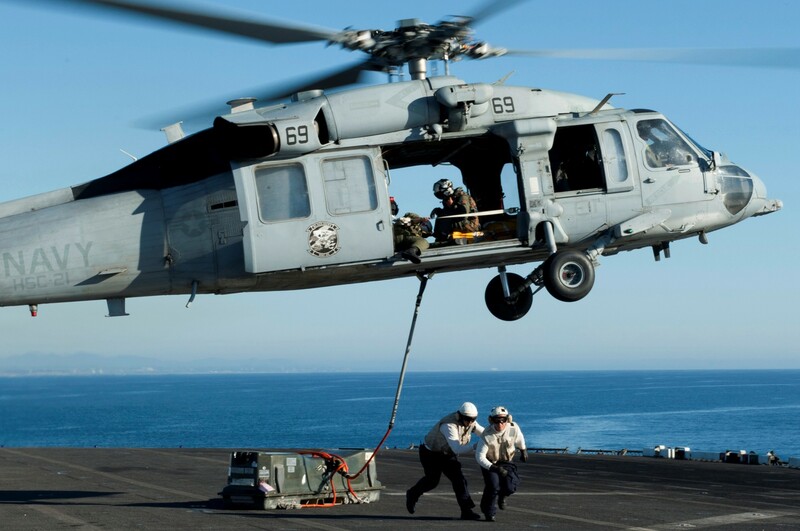 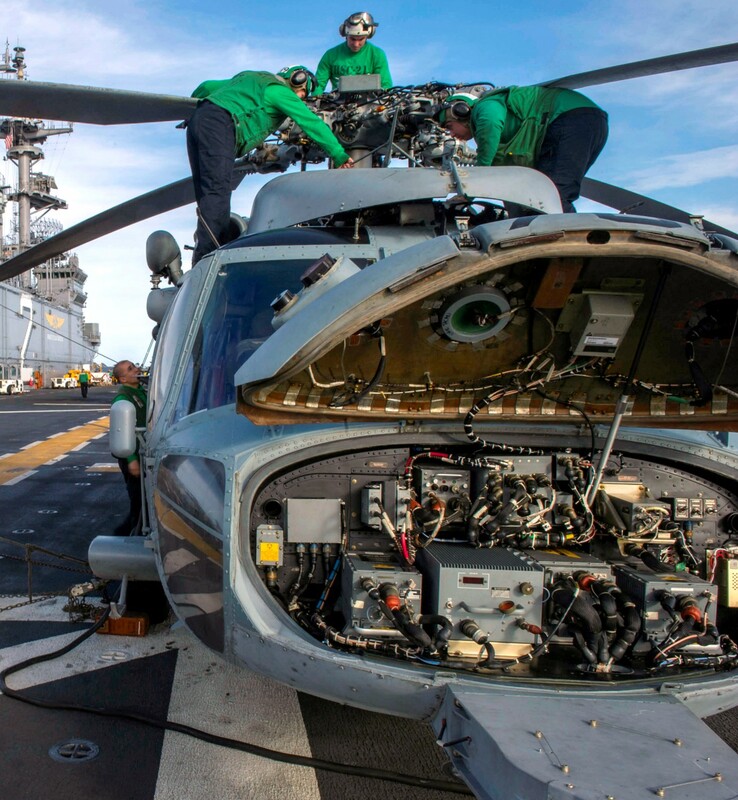 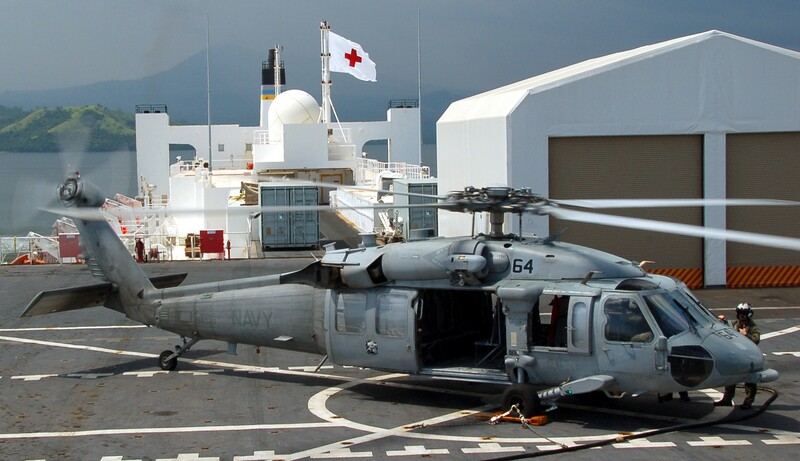 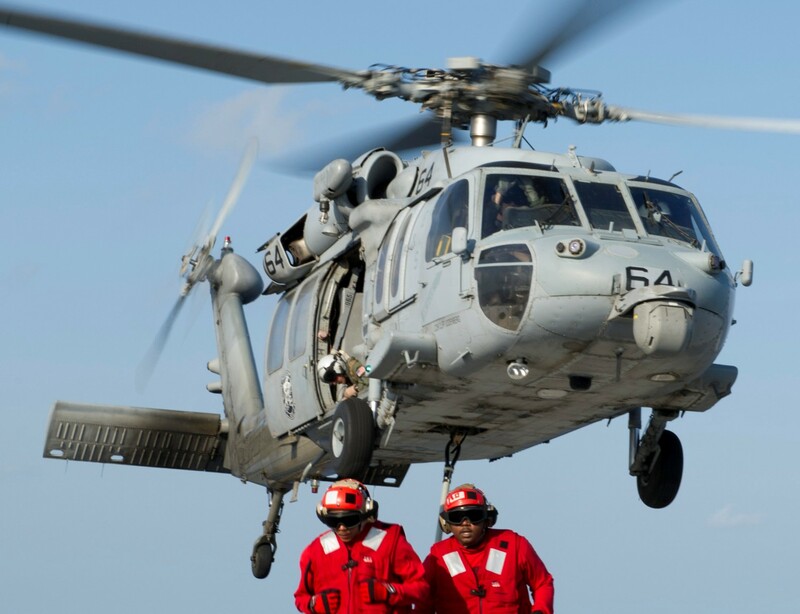 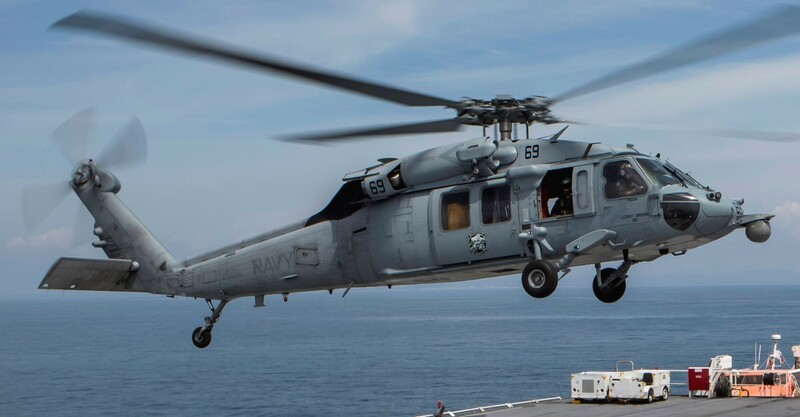 The incorporation of the helicopter for supply efforts has greatly reduced the alongside time required for conventional replenishment by highline, thereby increasing maneuverability of the fleet. 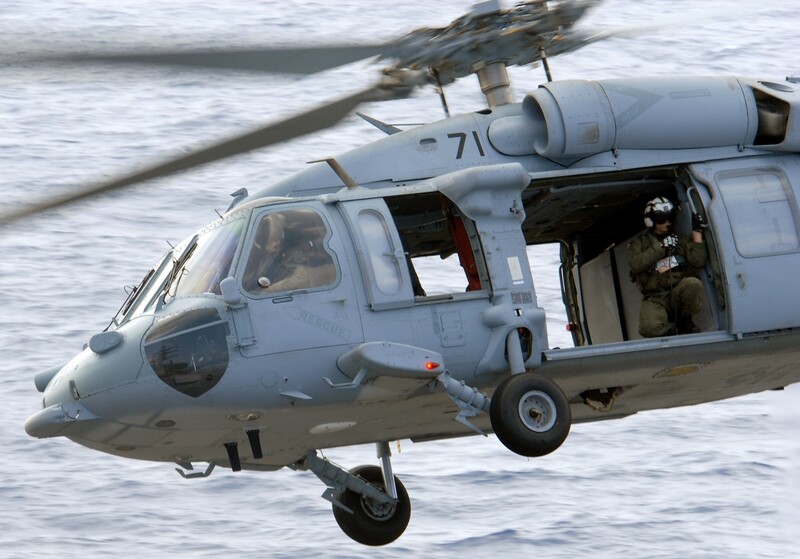 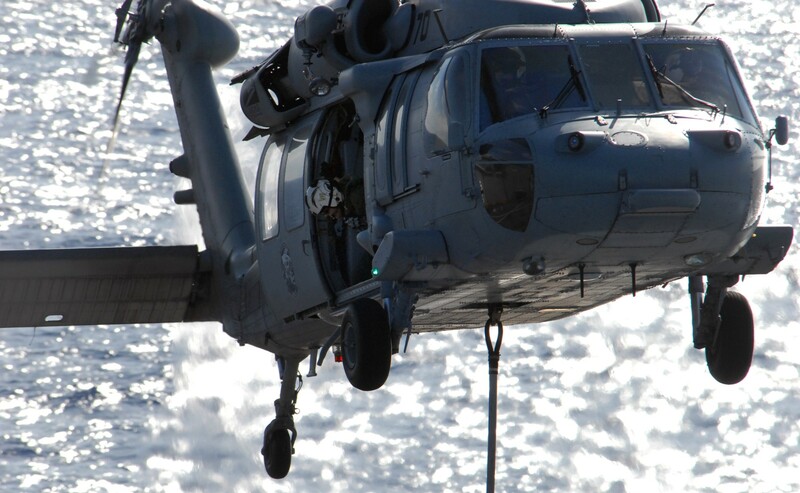 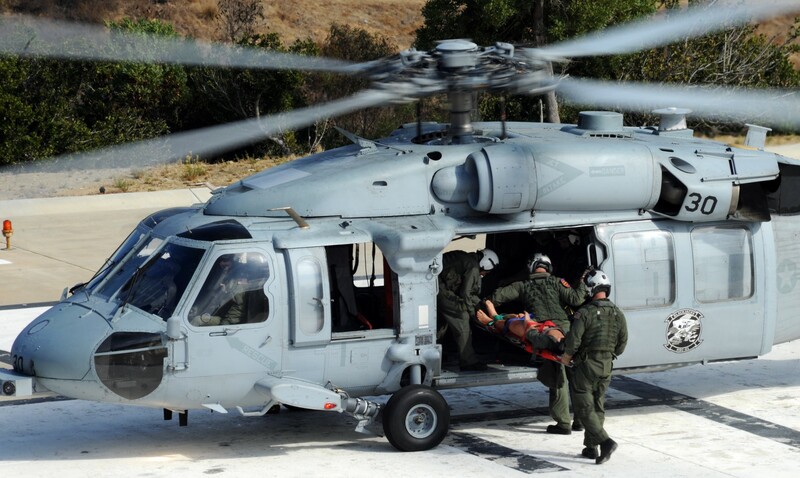 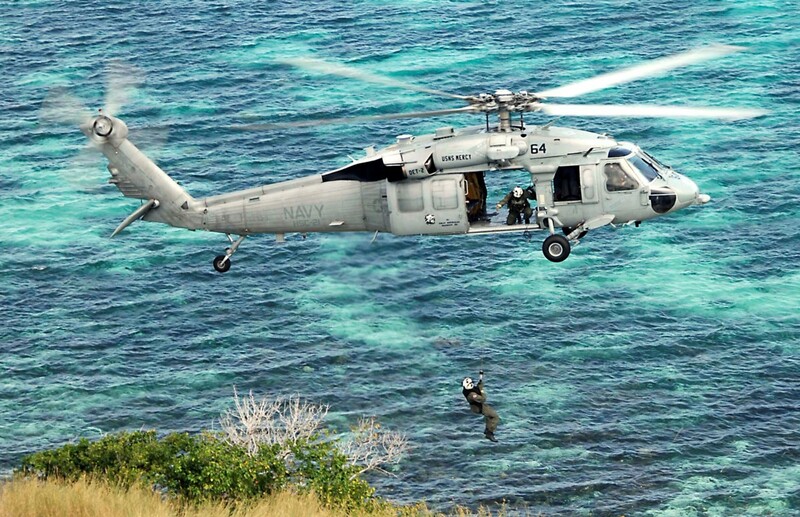 HSC-21 continues to provide fully qualified Naval Special Warfare crews for each detachment. 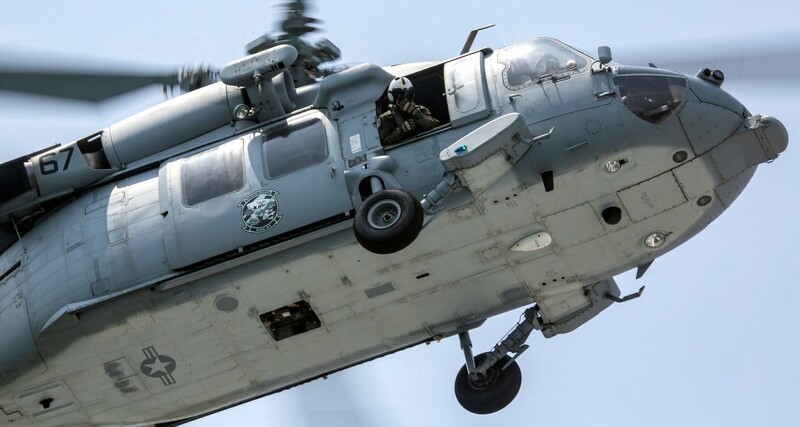 This includes capabilities for night vision device cast and recoveries, k-duck insertions, aerial gunnery, and Helicopter Visit, Board, Search and Seizure (HVBSS). 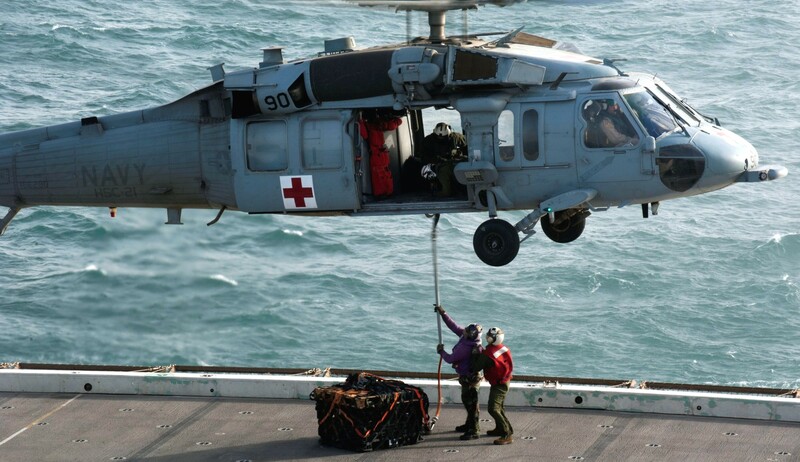 In addition to the primary missions, HSC-21 provides a multitude of other essential services to the fleet, medical evacuations, personnel transfers and special operations support, just to name a few. 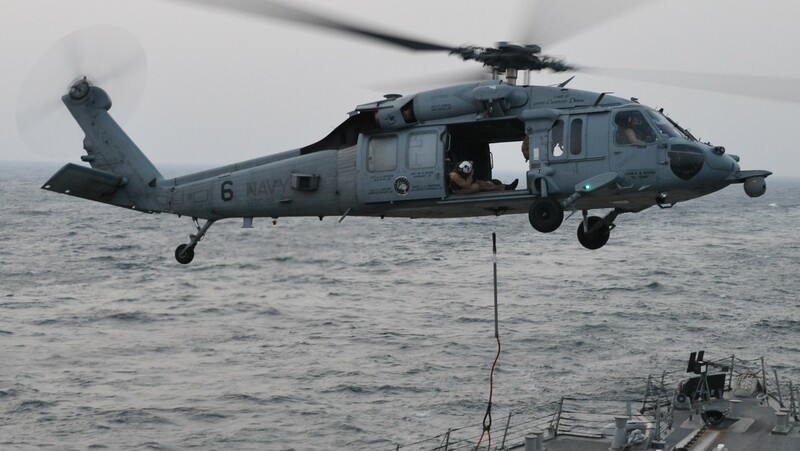 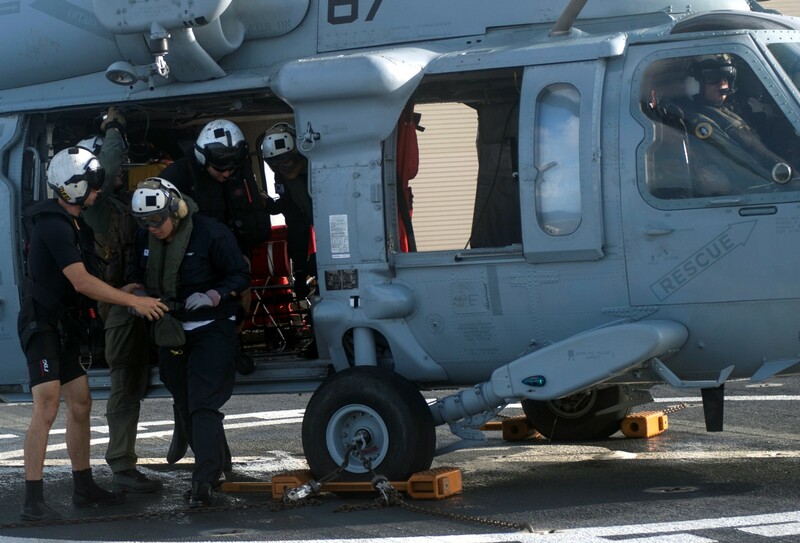 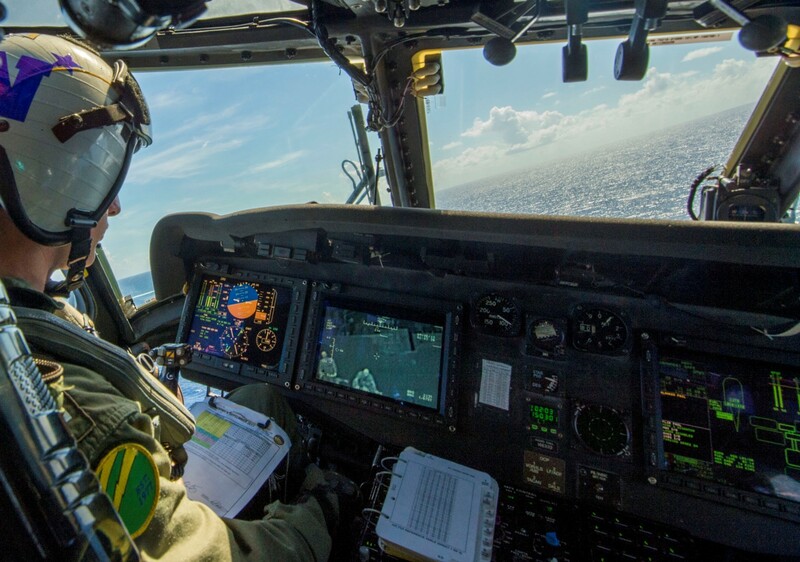 The parent command, or homeguard, diligently supports Southern California fleet operations and training requirements ashore and in the waters off Southern California. 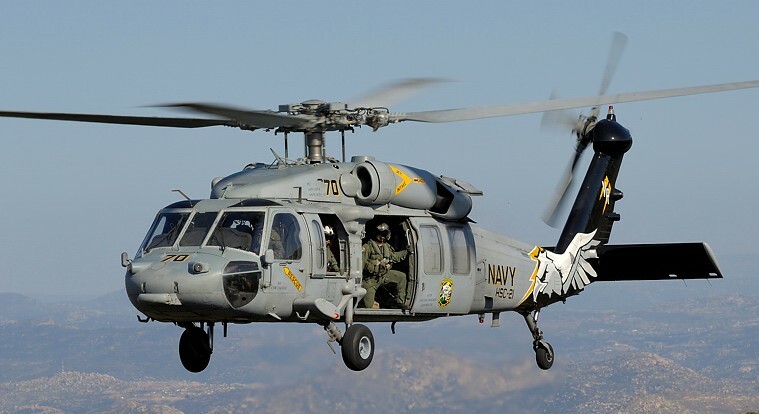 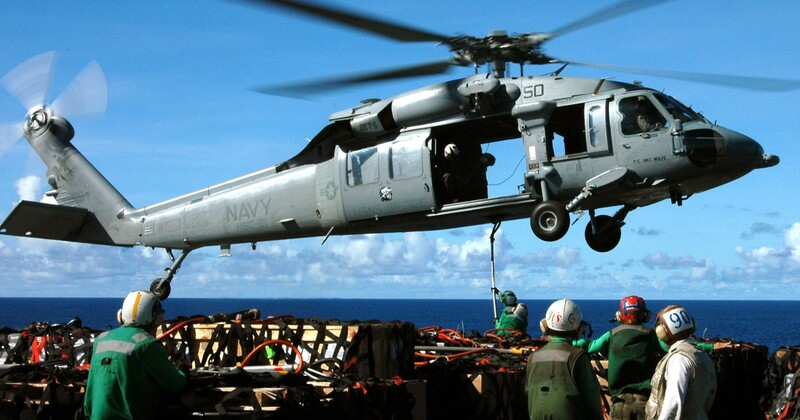 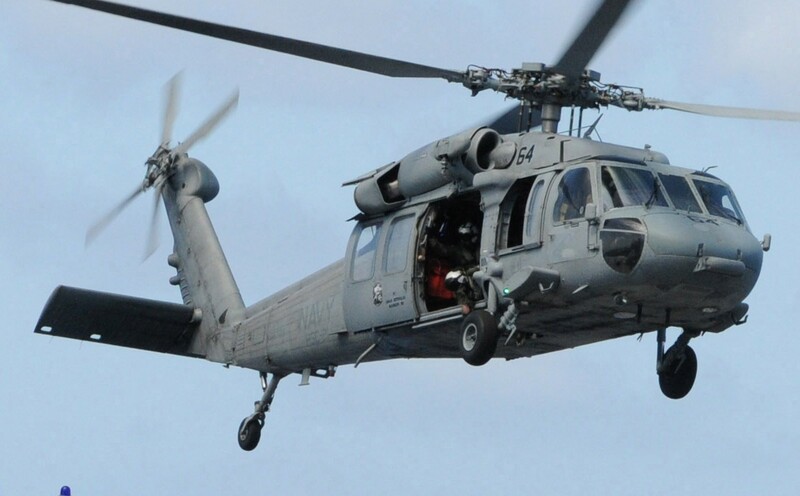 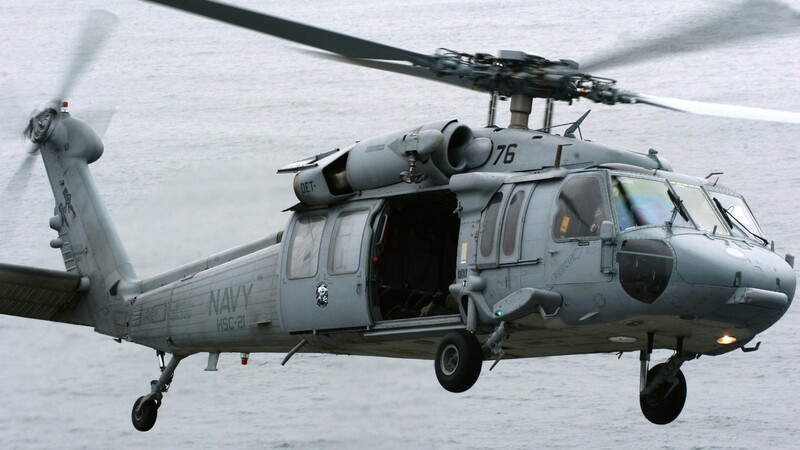 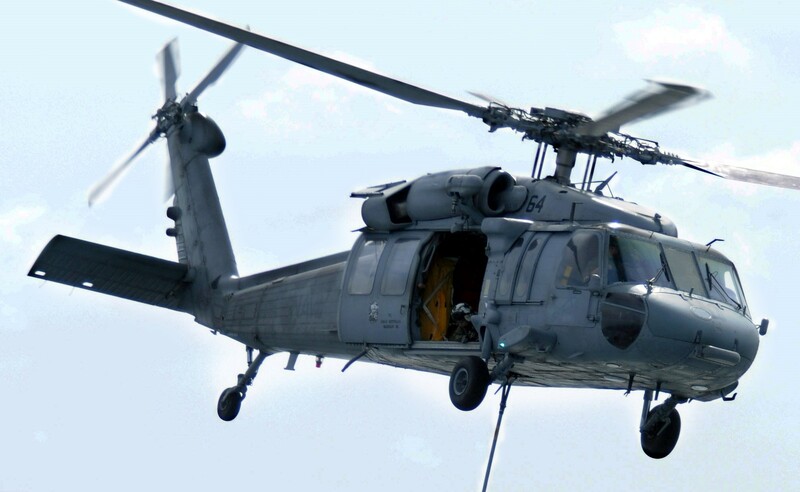 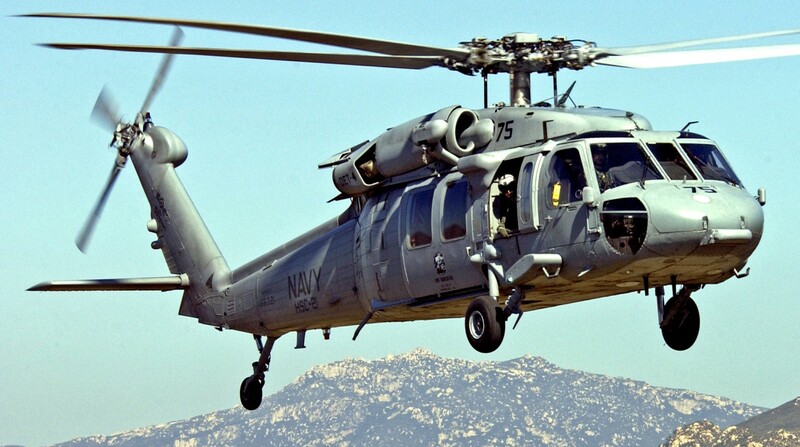 With the decommissioning of the UH-3H and CH-46D in May and June 2004, respectively, the Blackjacks’ only airframe is the Sikorsky MH-60S “Knighthawk.” The MH-60S has a lift capability of three tons, a cabin that can accommodate 12 passengers, and a maximum airspeed of 180 knots. 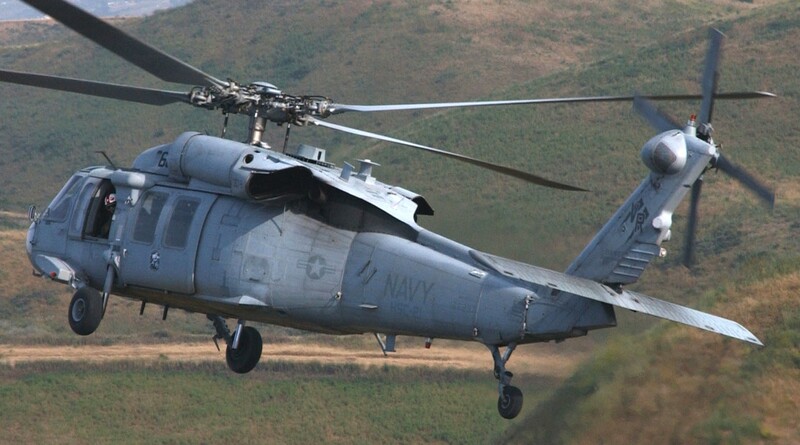 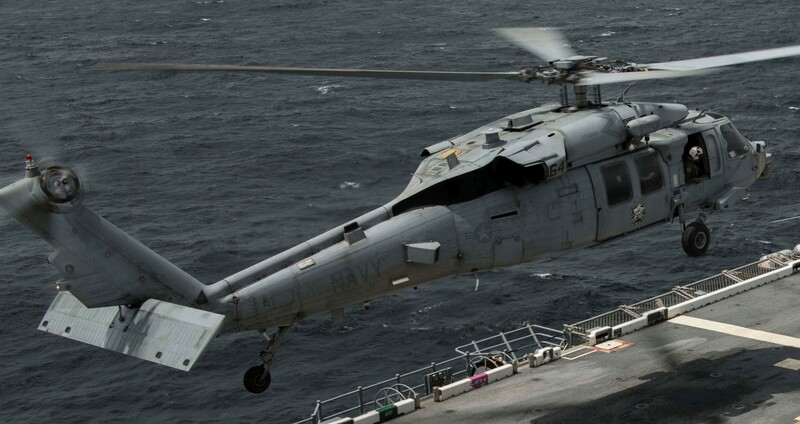 Boasting a state of the art avionics suite, the “Knighthawk” is the Navy’s most technologically advanced helicopter. 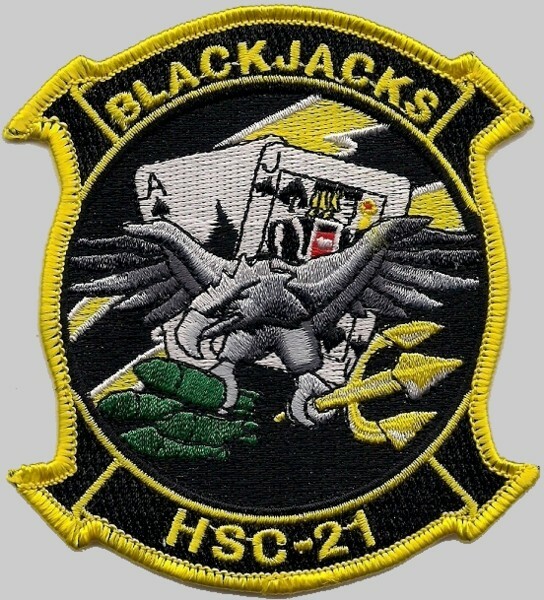 From their inception, the “Blackjacks” of HSC-21 have maintained an impressive record. 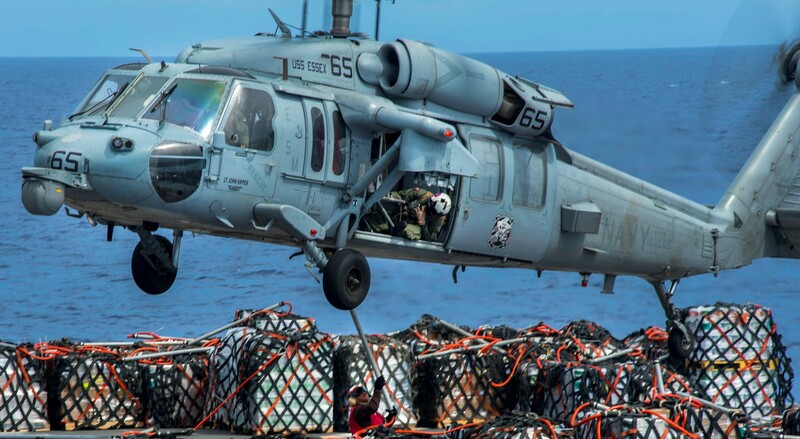 Operations around the globe and around the clock over the last 28 years have yielded staggering statistics for this squadron including the movement of a quarter million personnel and over 300 million pounds of cargo while maintaining an award winning safety record of over 100,000 Class A mishap free flight hours. 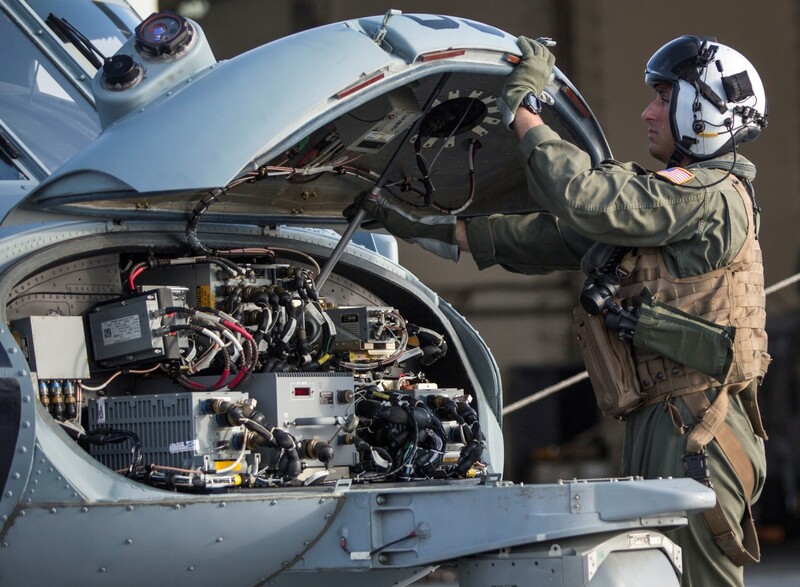 The squadron’s performance directly enhances the operational readiness and effectiveness of the U.S. 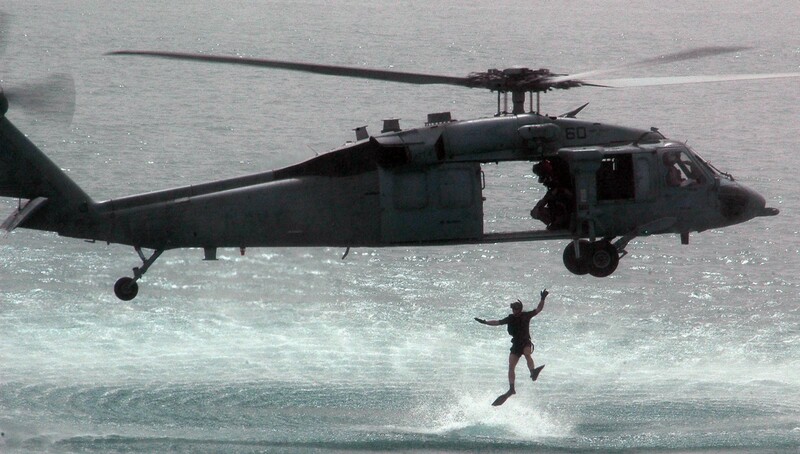 Naval Forces from the west coast to the Indian Ocean or wherever needed, without a permission slip.